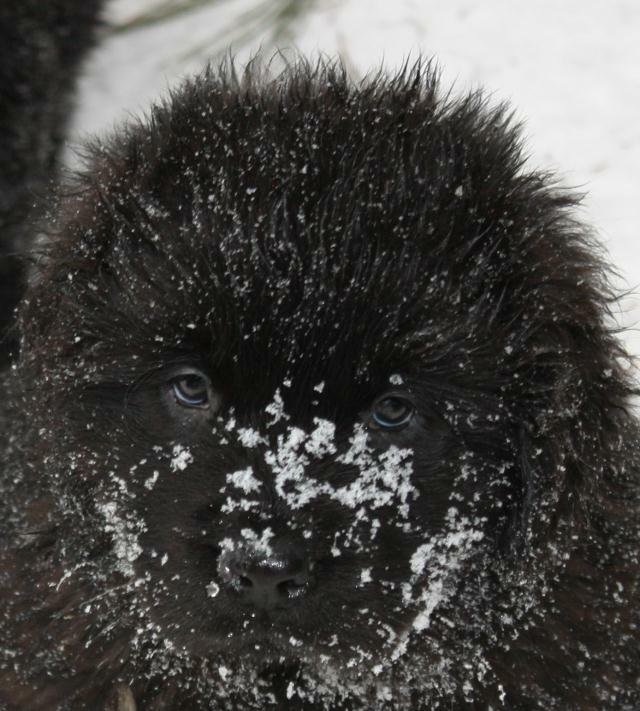 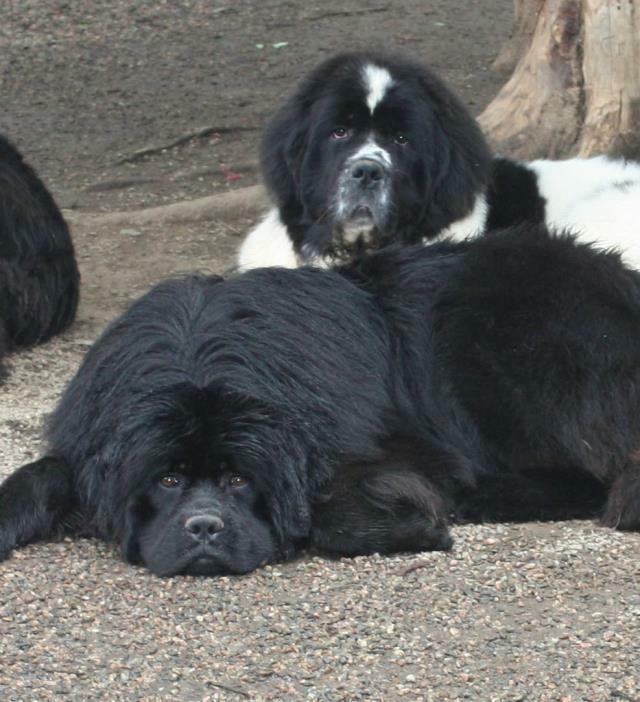 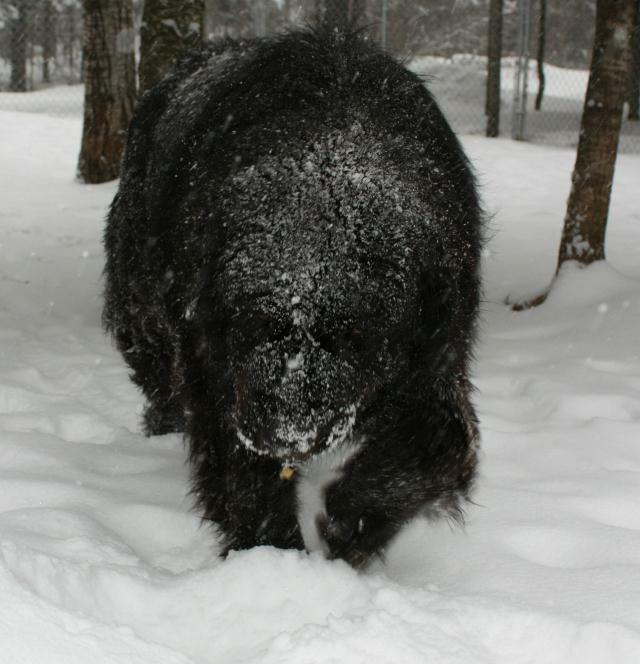 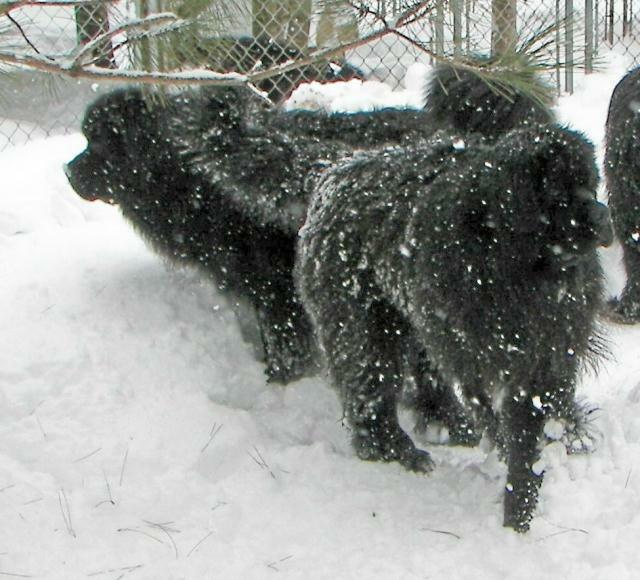 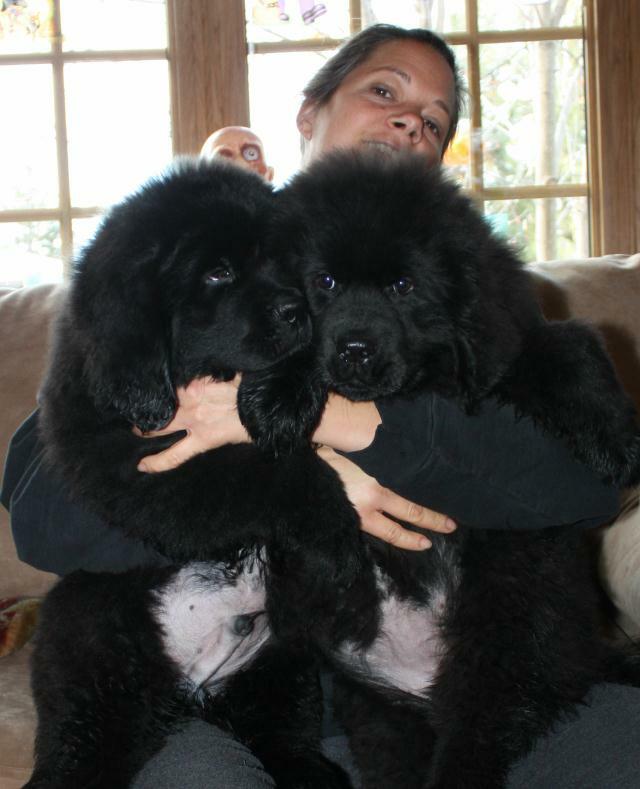 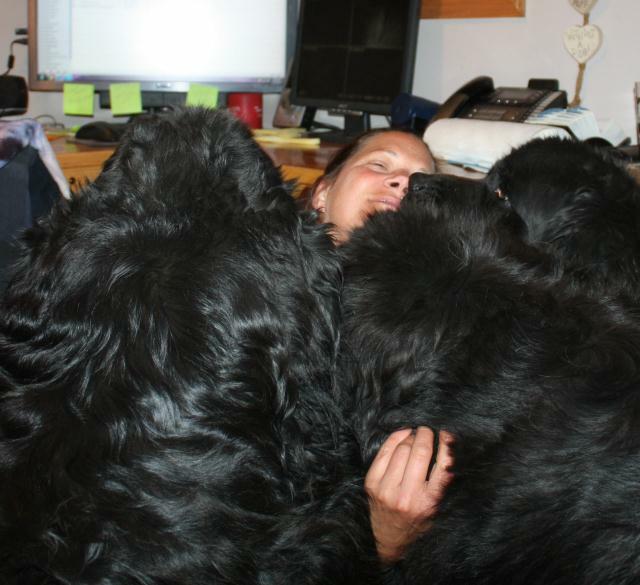 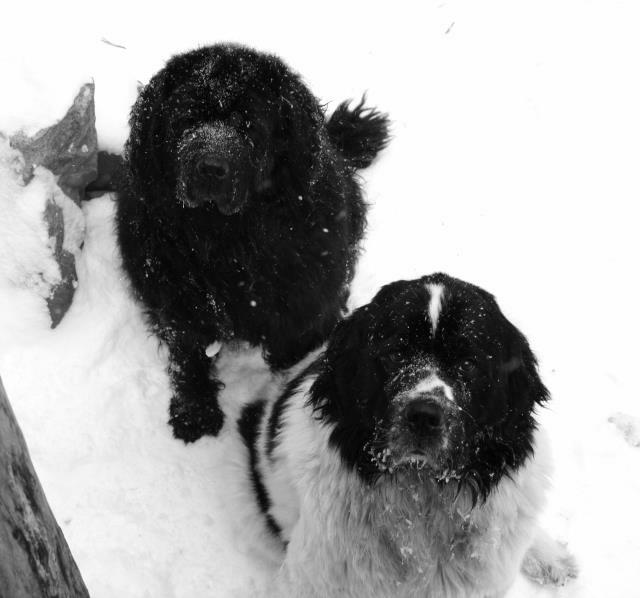 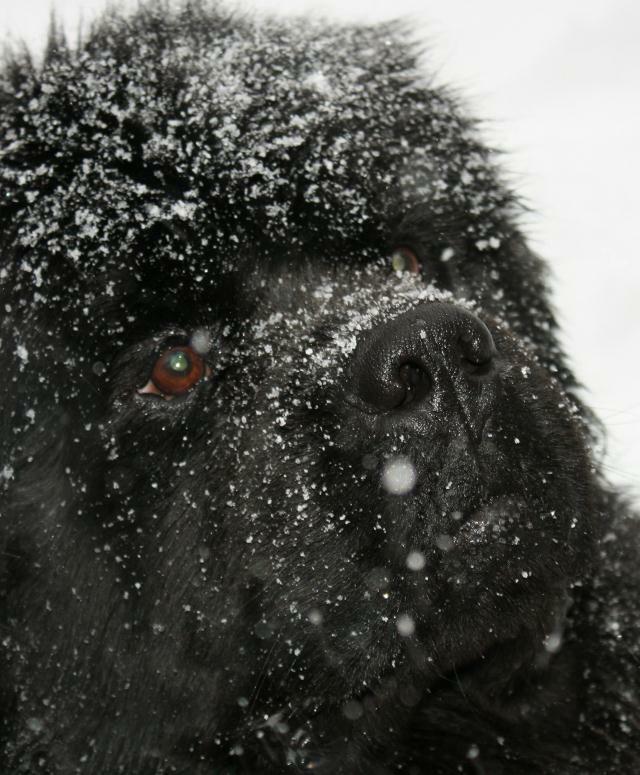 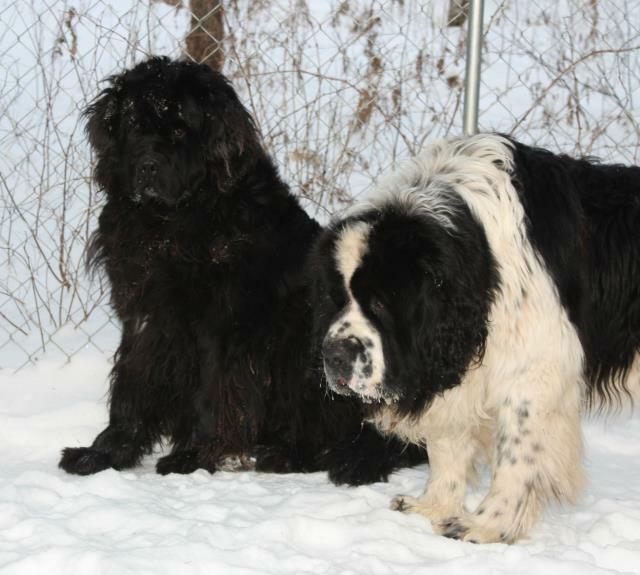 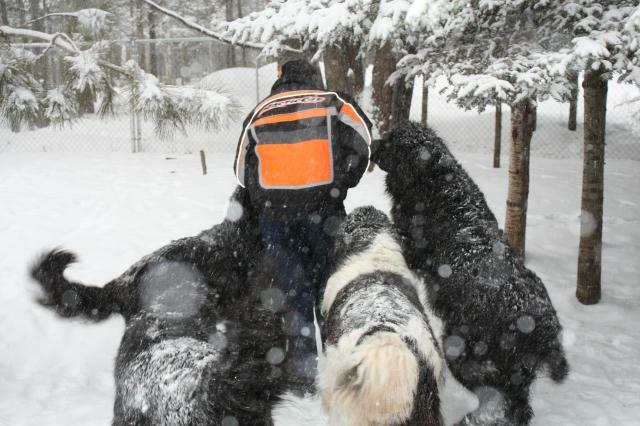 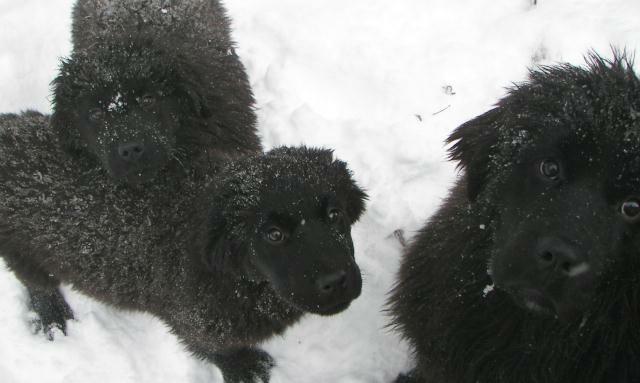 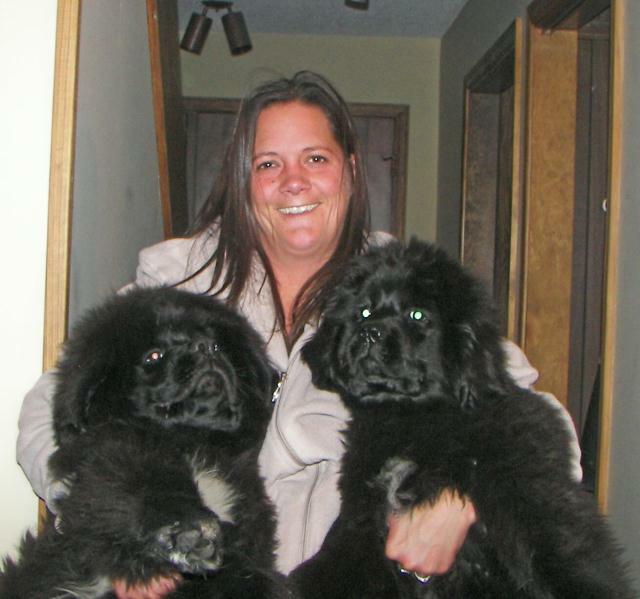 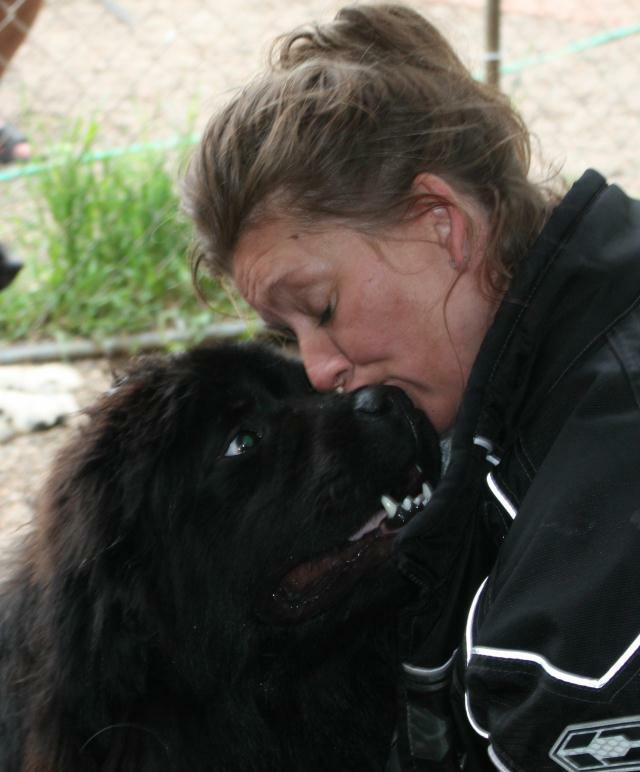 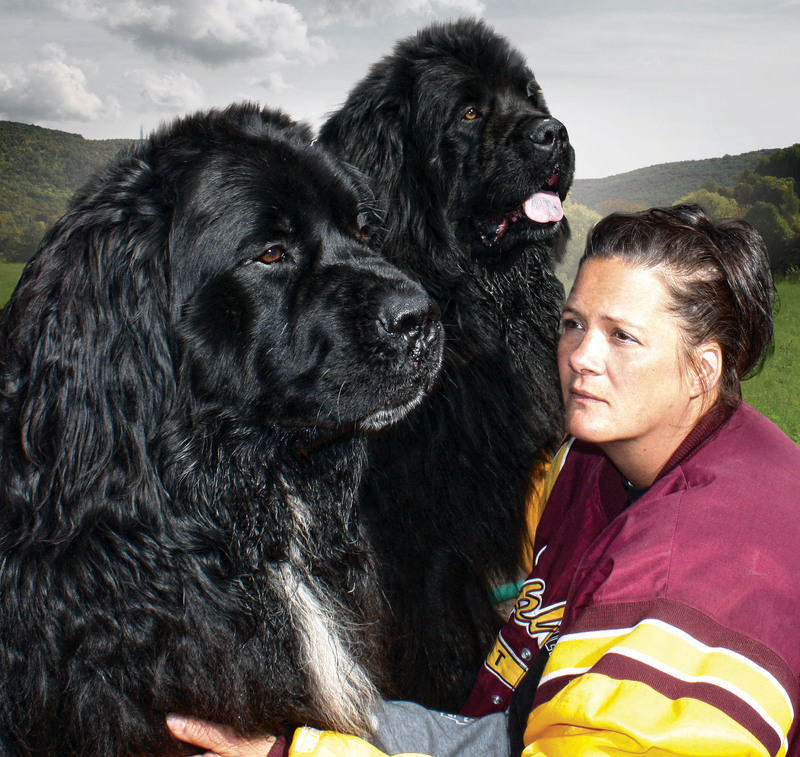 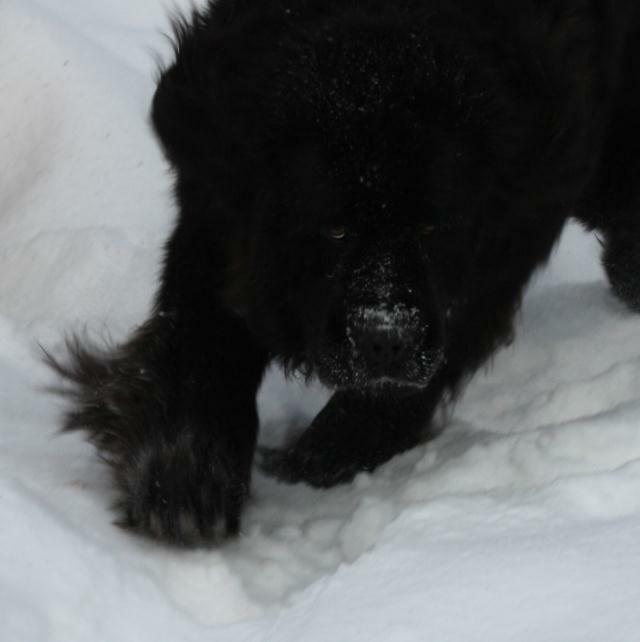 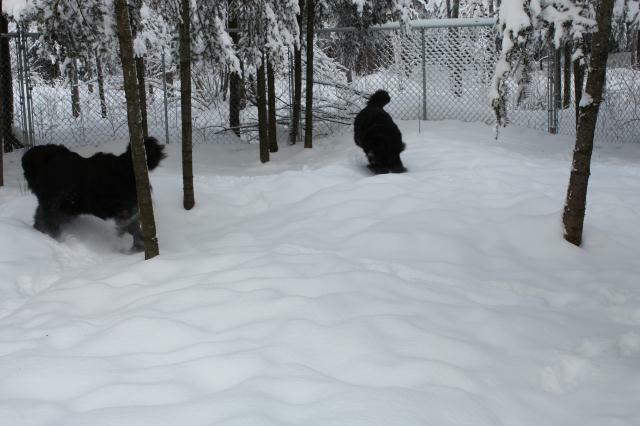 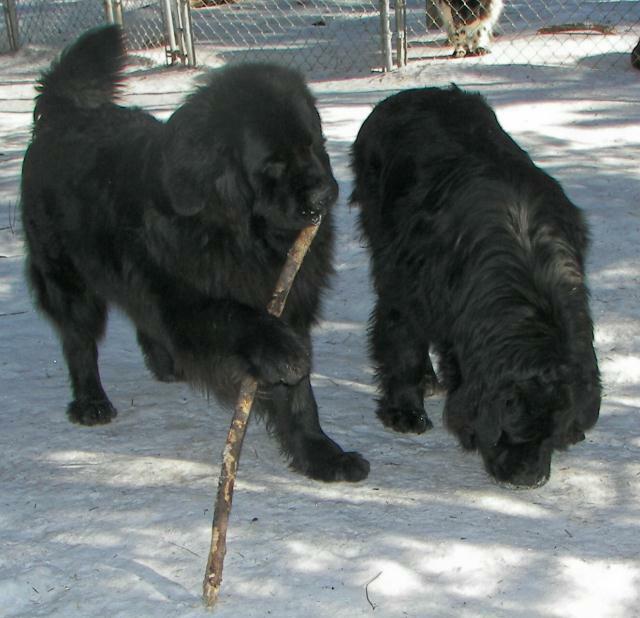 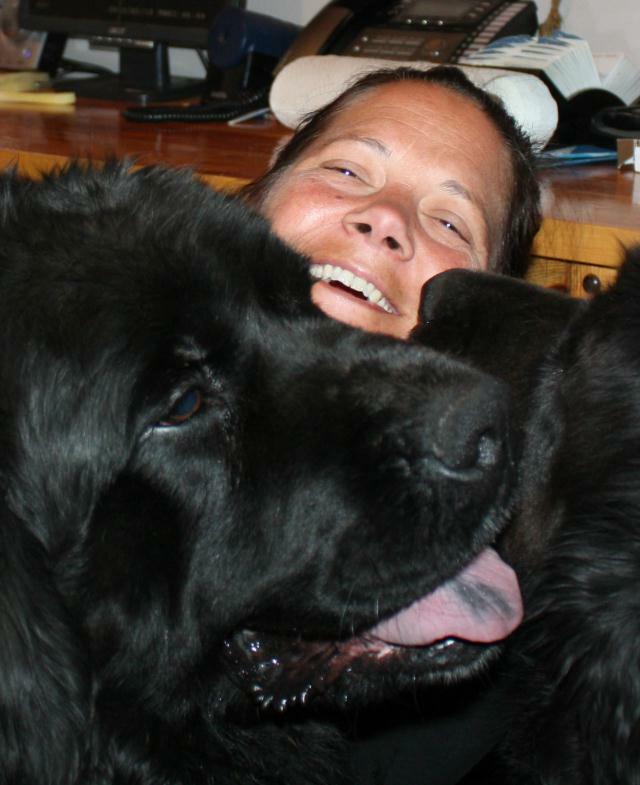 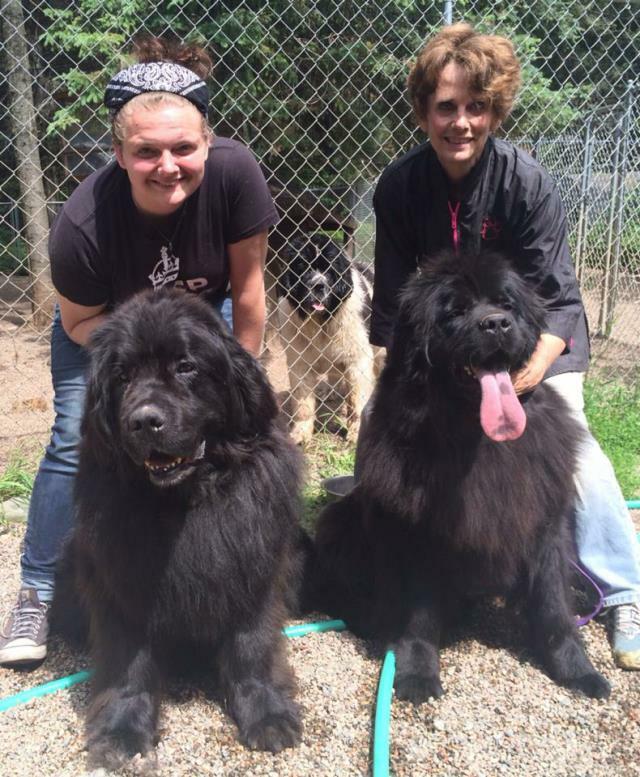 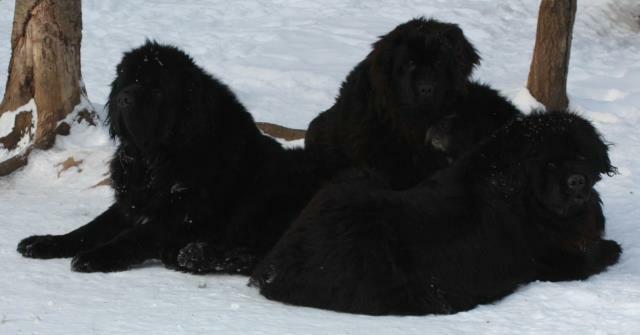 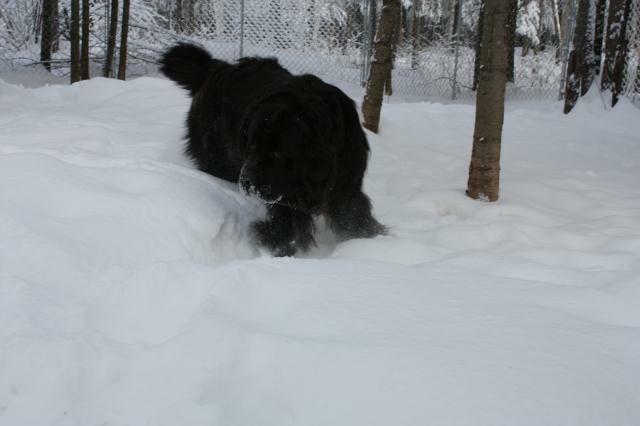 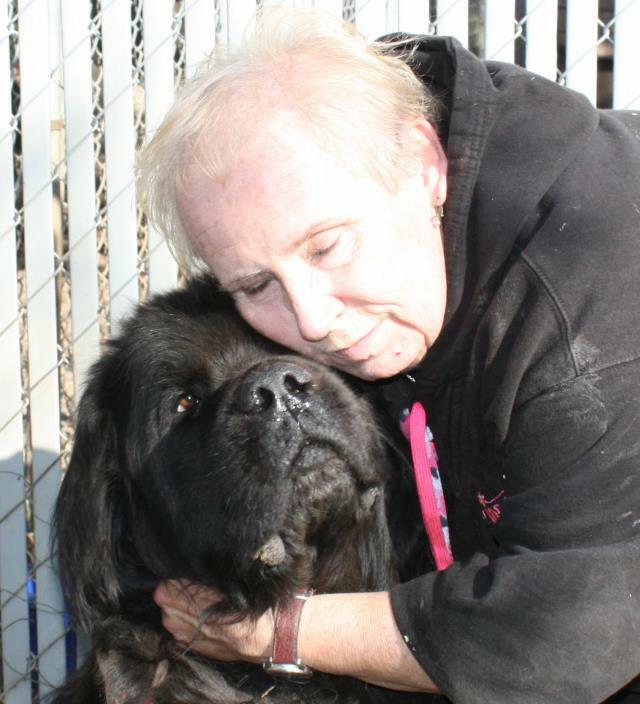 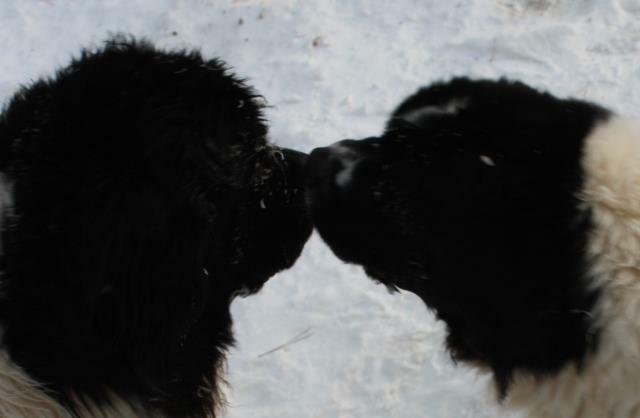 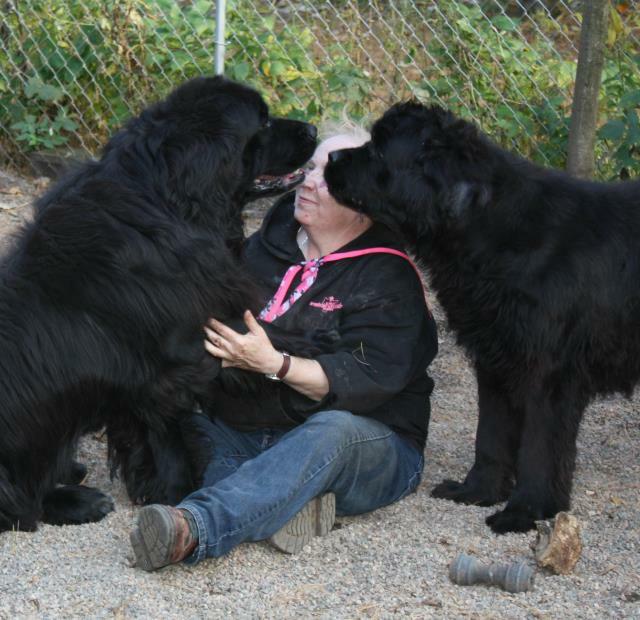 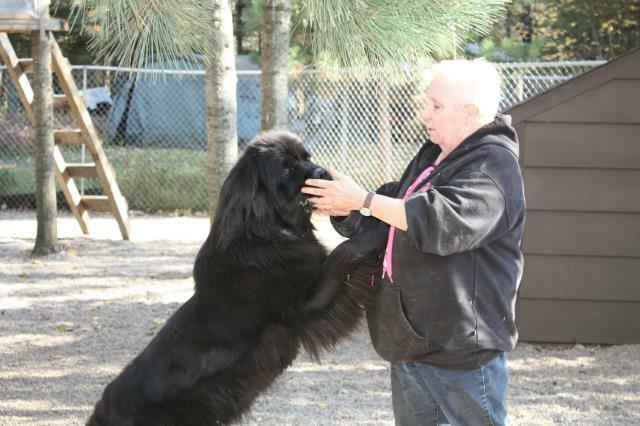 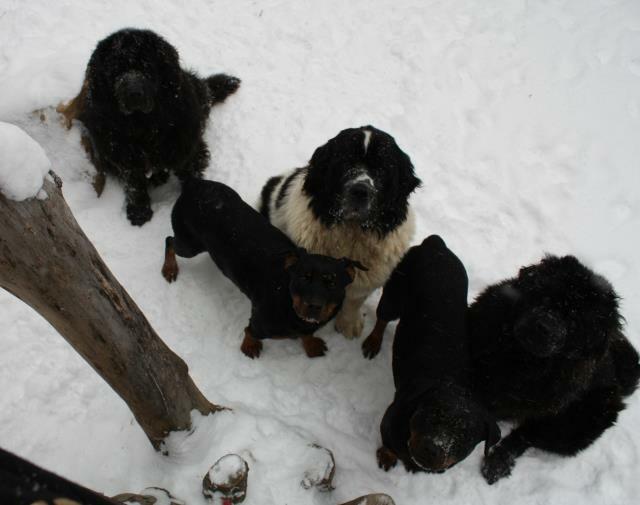 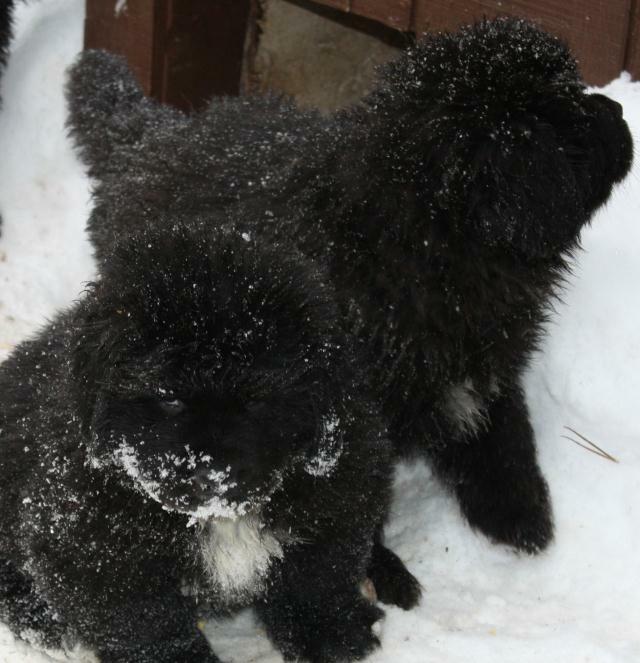 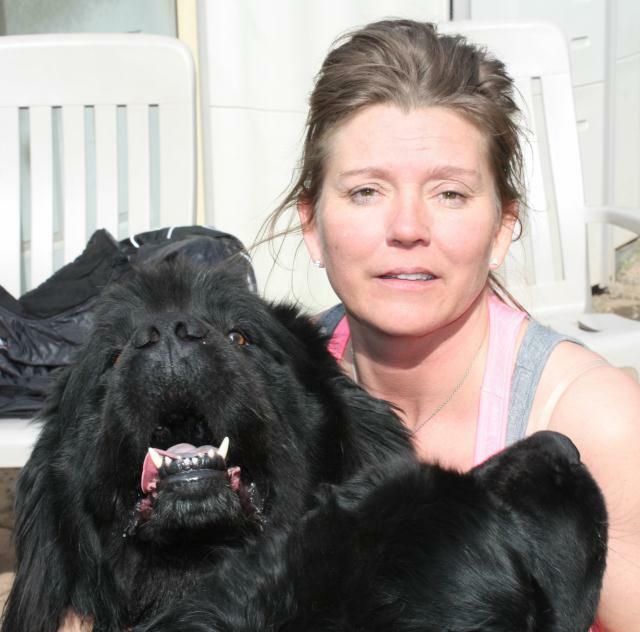 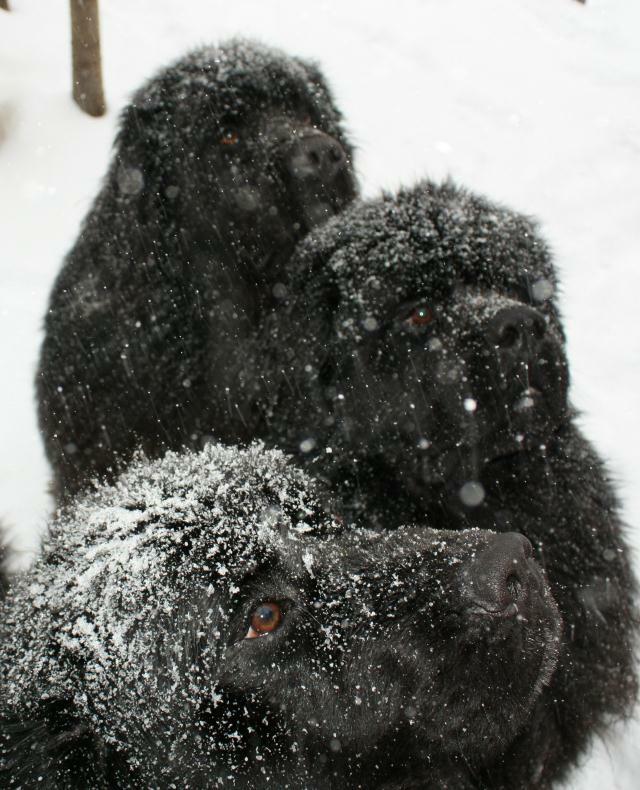 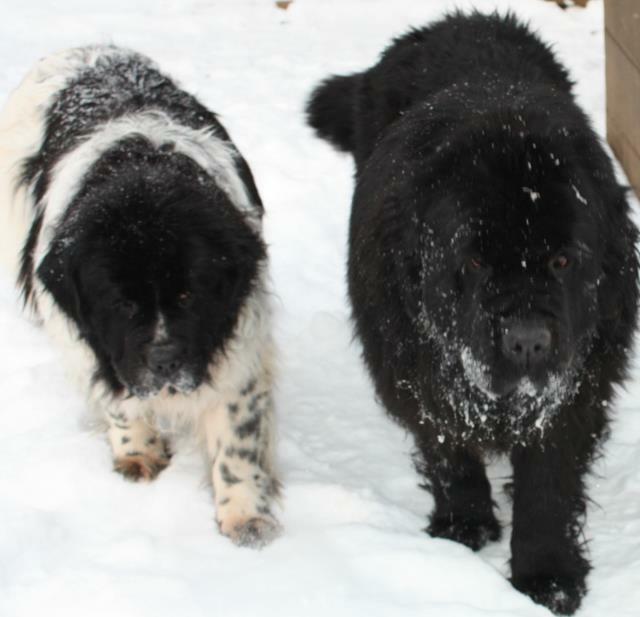 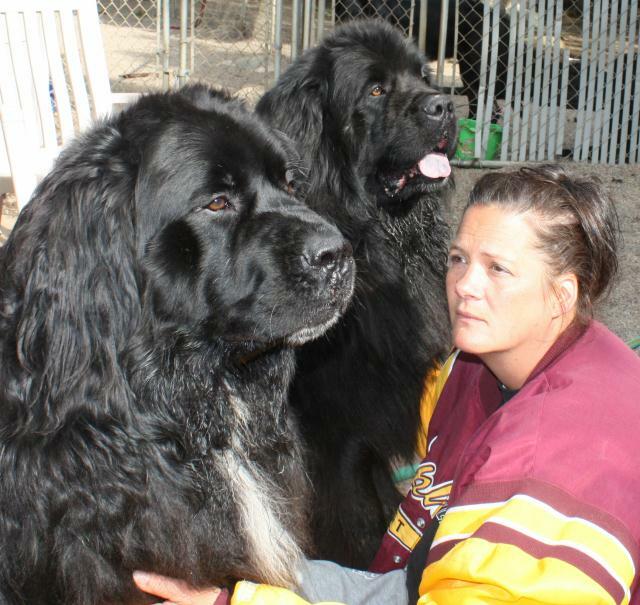 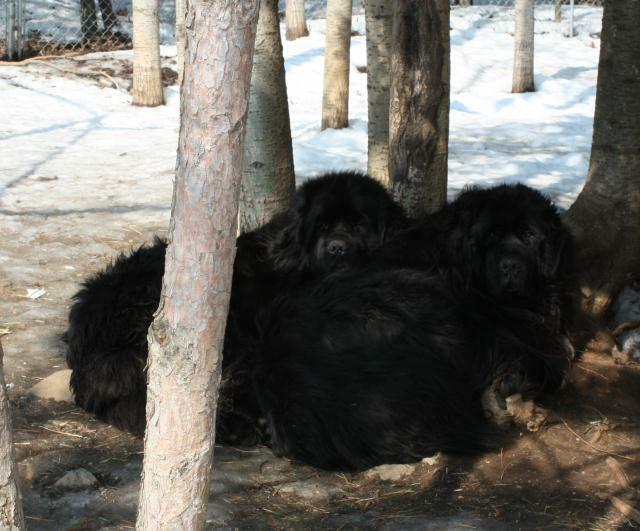 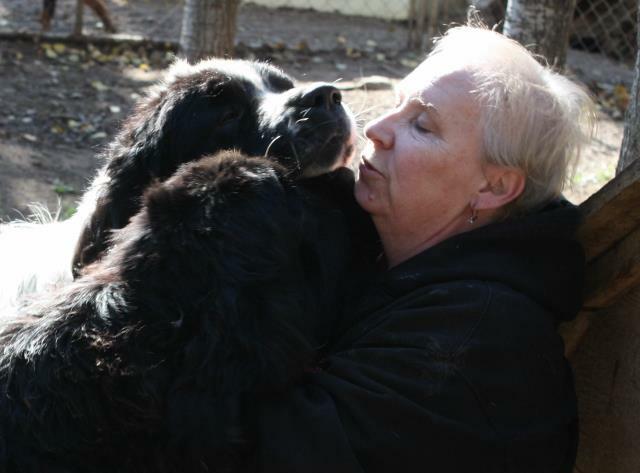 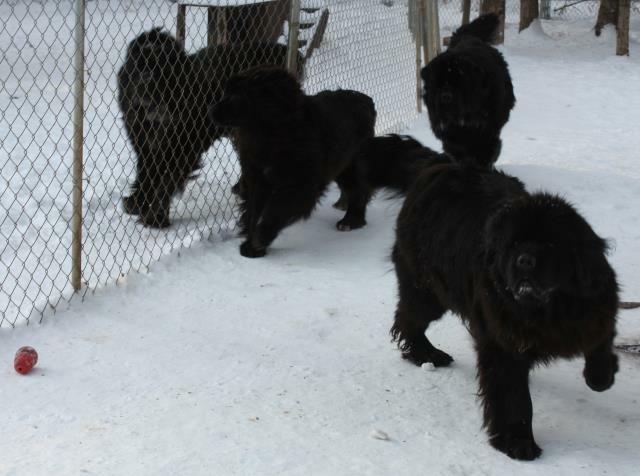 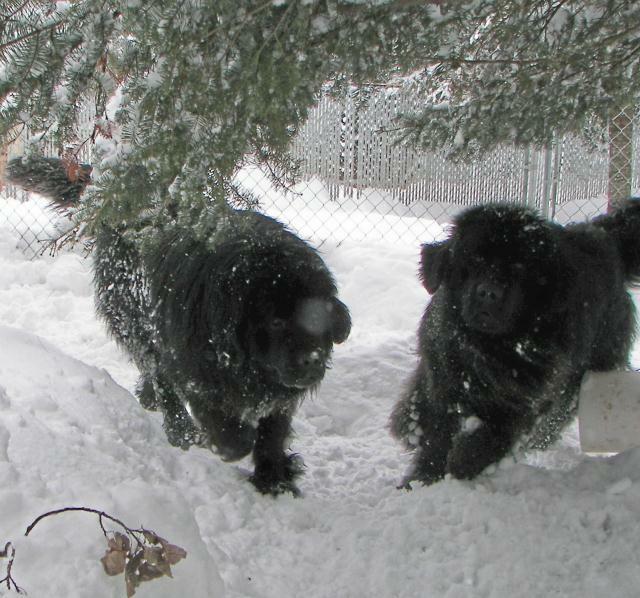 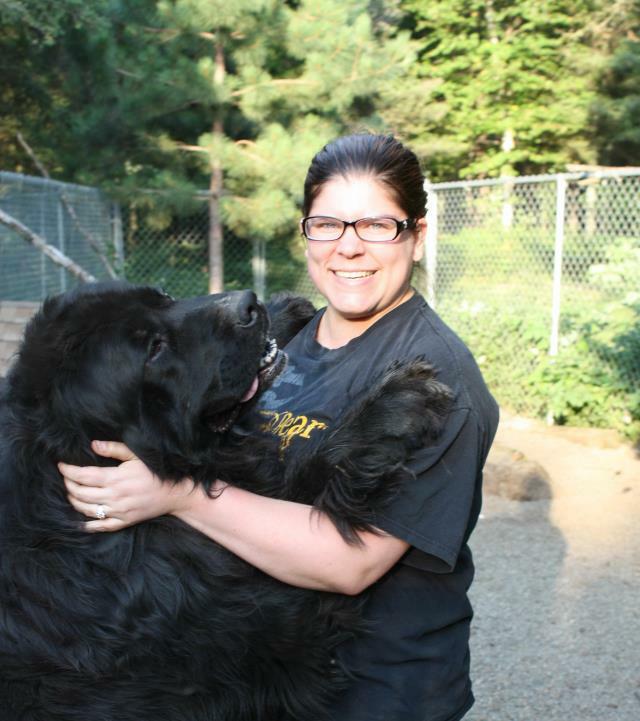 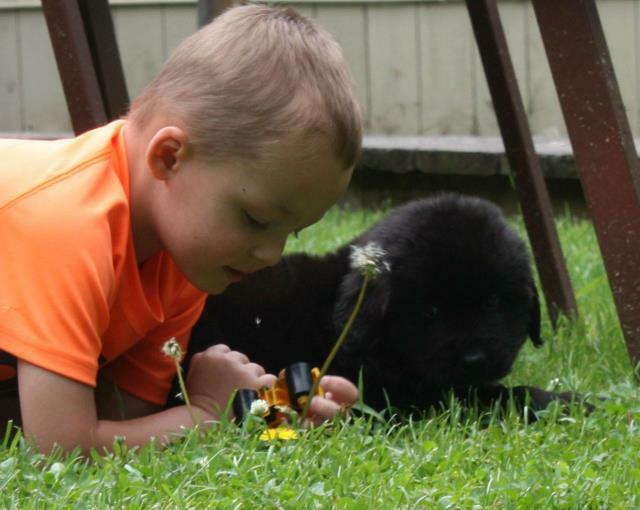 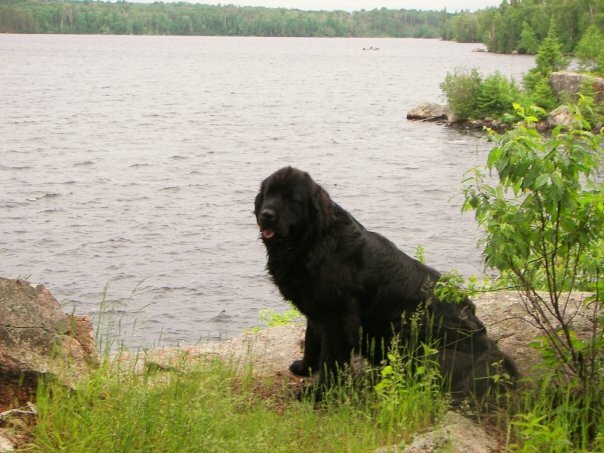 Our Goal at Blackwolf Newfoundlands is to continue to keep the sound structure, health, temperament and longevity within the Newfoundland breed. 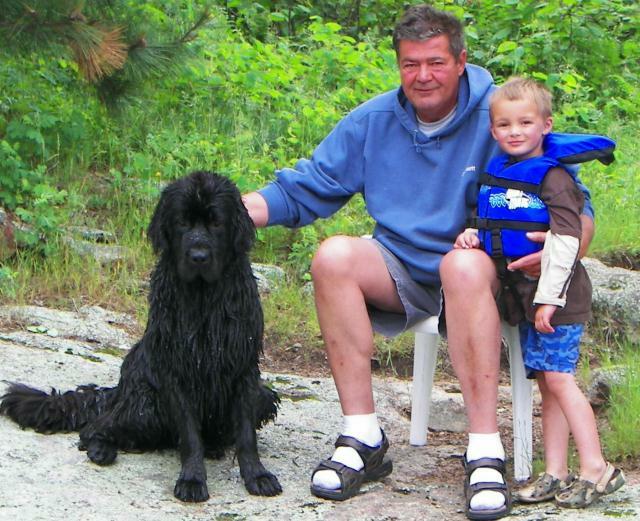 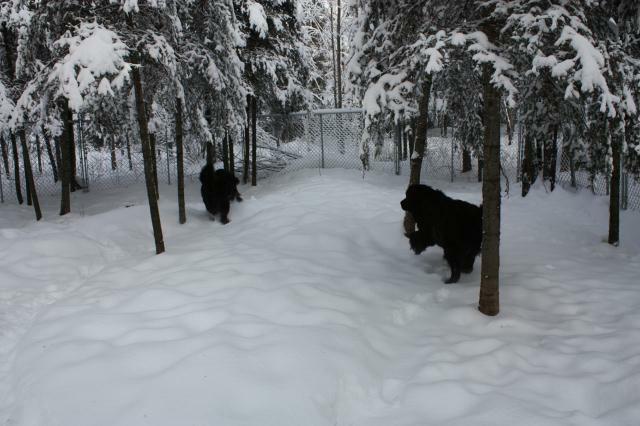 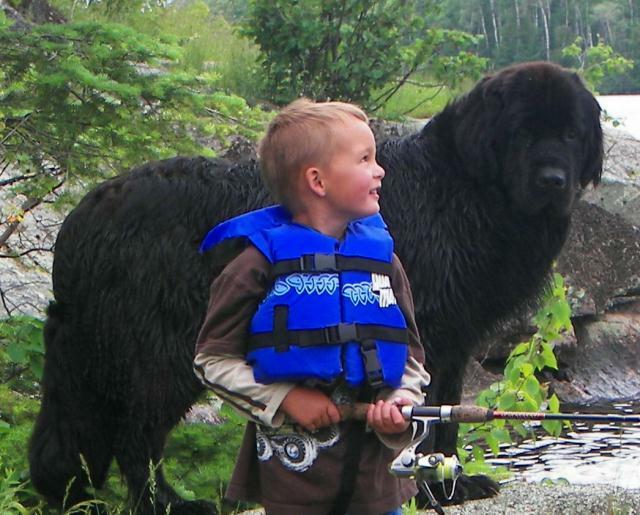 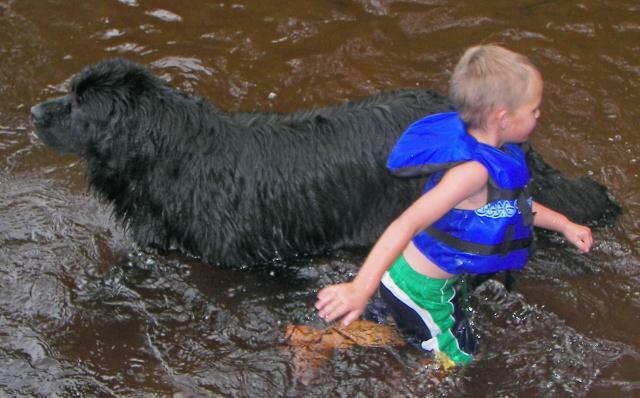 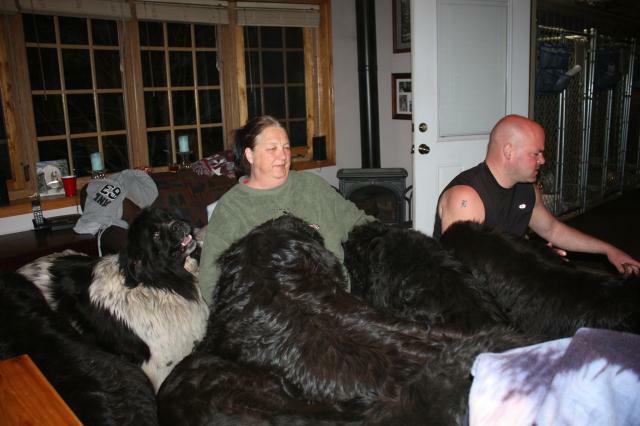 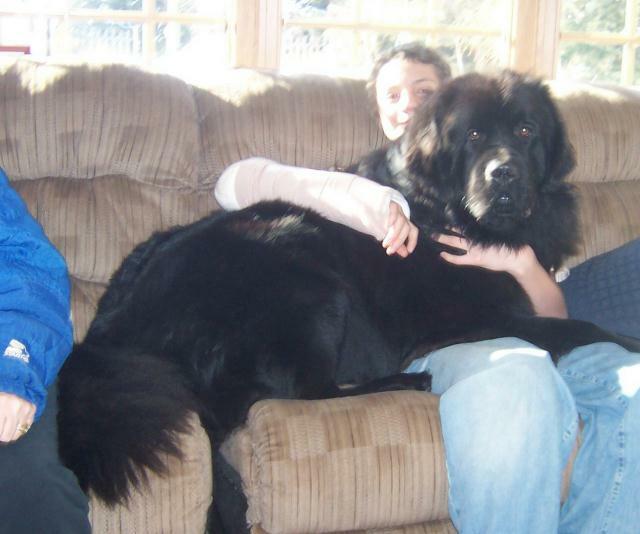 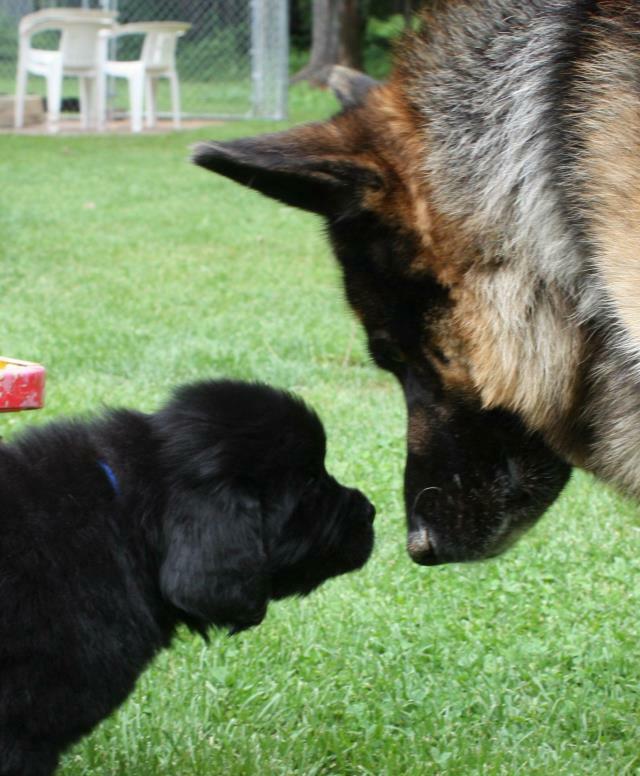 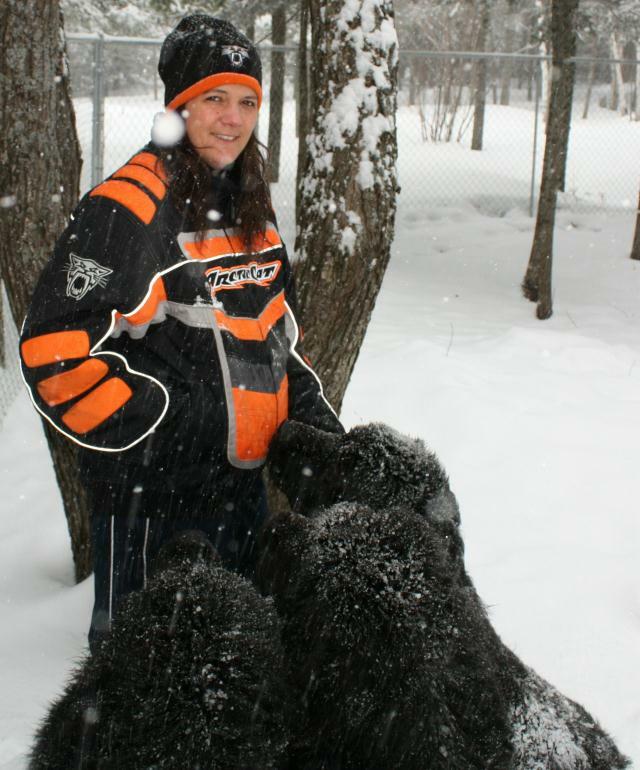 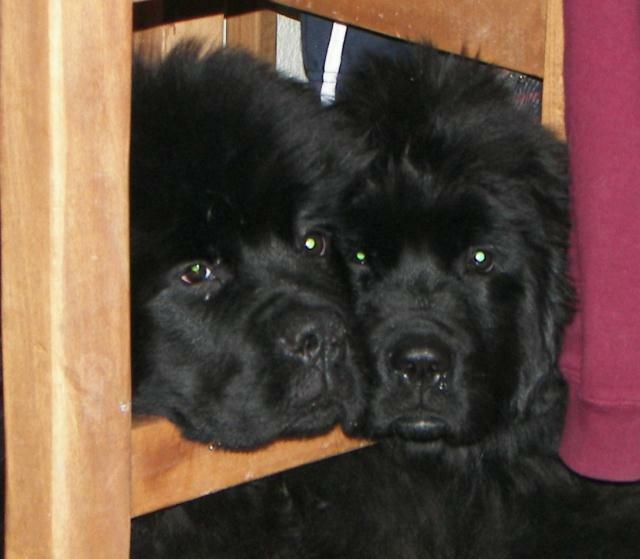 Our Newfies are not just a breeding program. 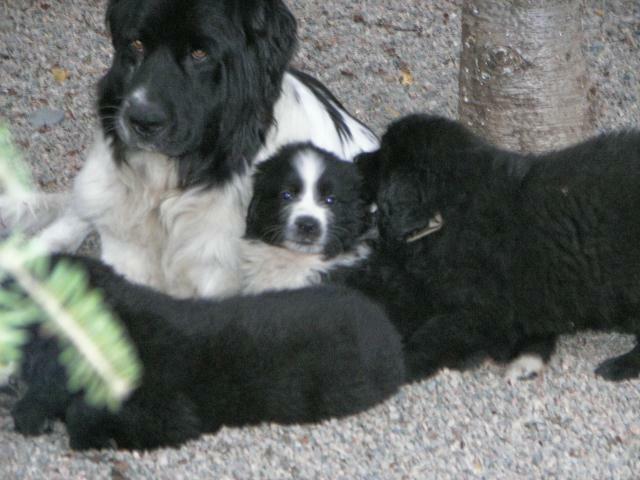 They are our family!! 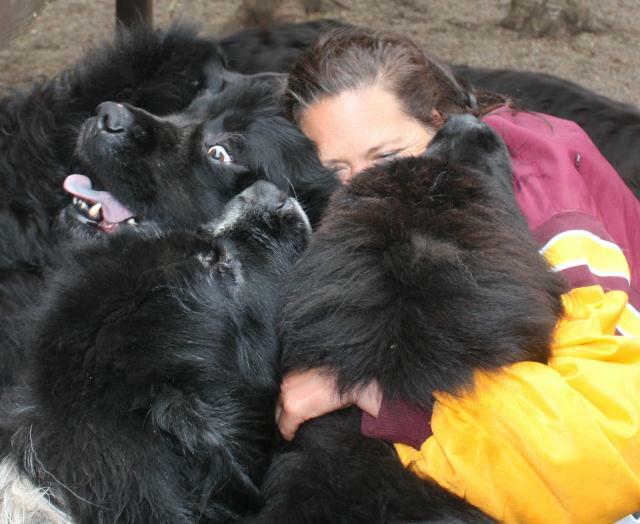 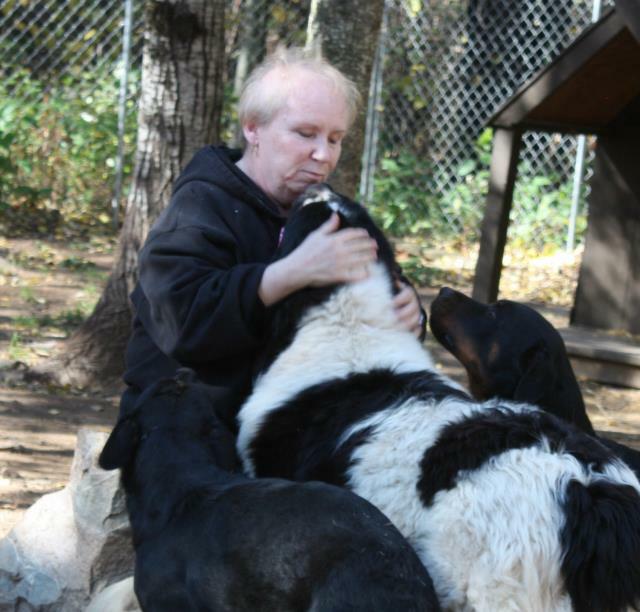 We do NOT believe in forceful breeding or over-breeding. 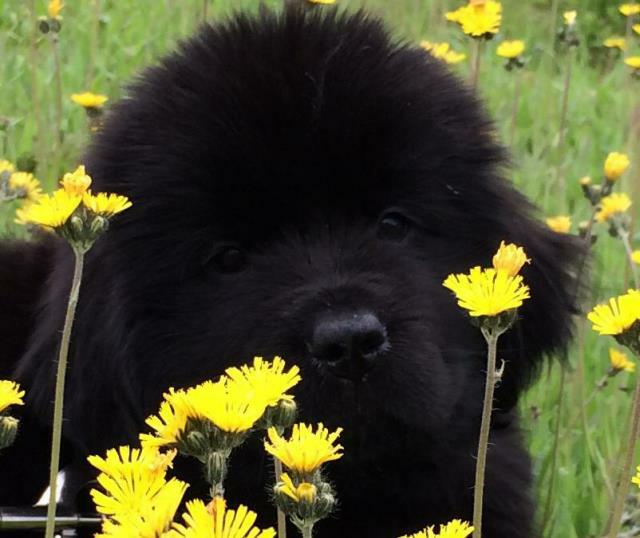 Nature knows best! 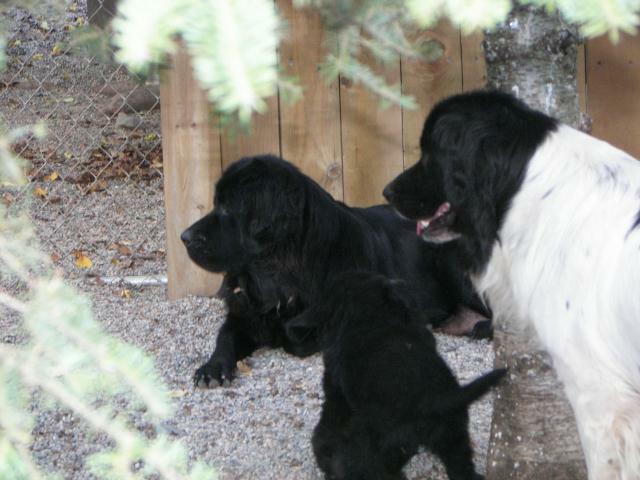 Our females are only bred once every other cycle and 3 litters maximum! 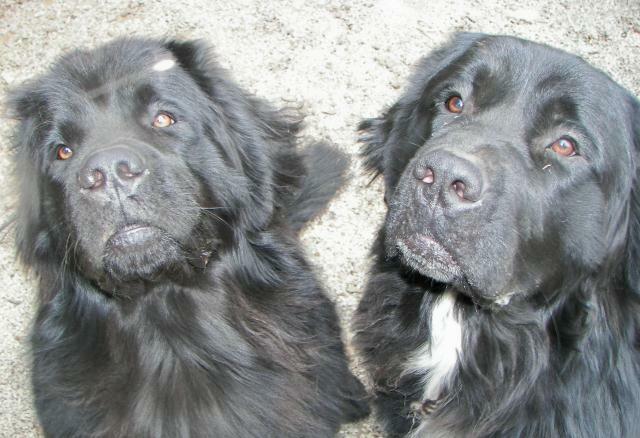 Please review their individual pages for pedigree and health testing. 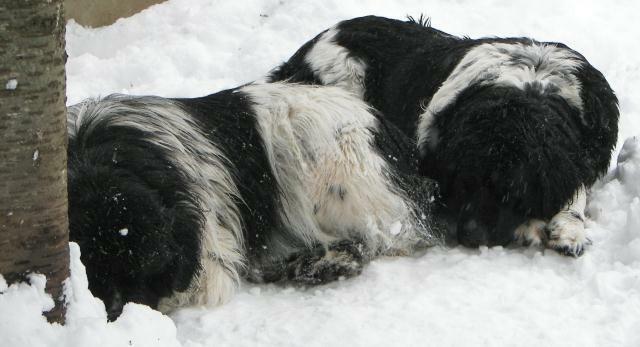 When they retire, we do NOT sell them. 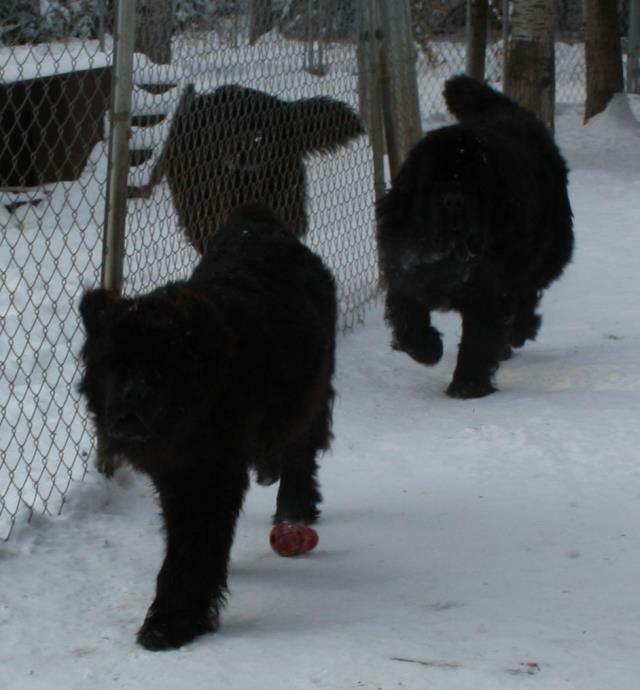 We keep them close to our hearts! 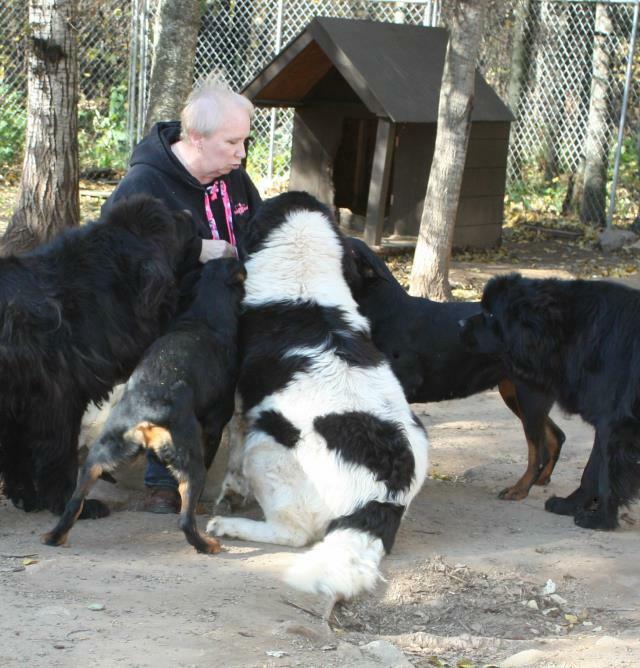 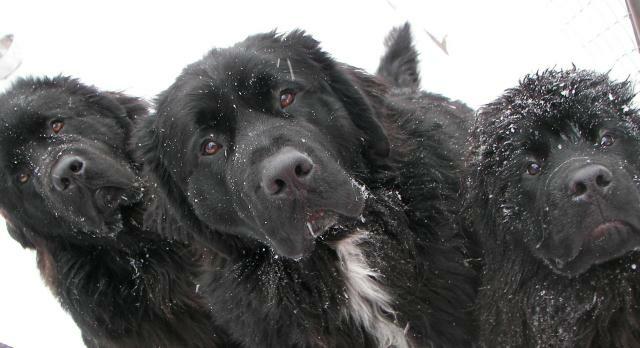 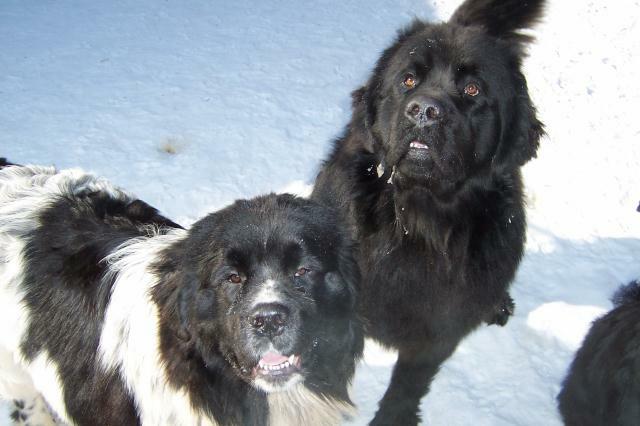 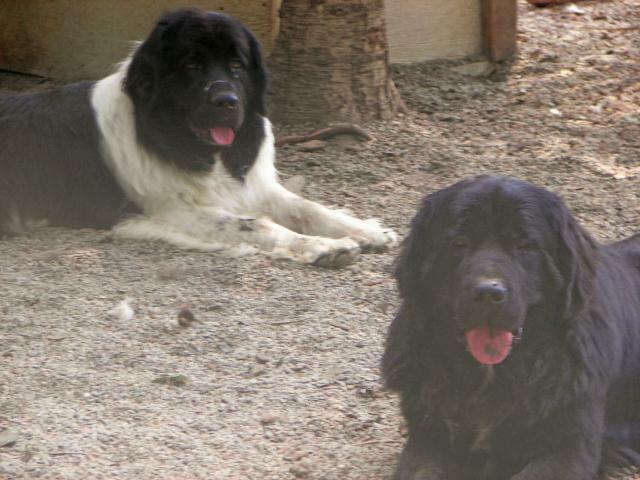 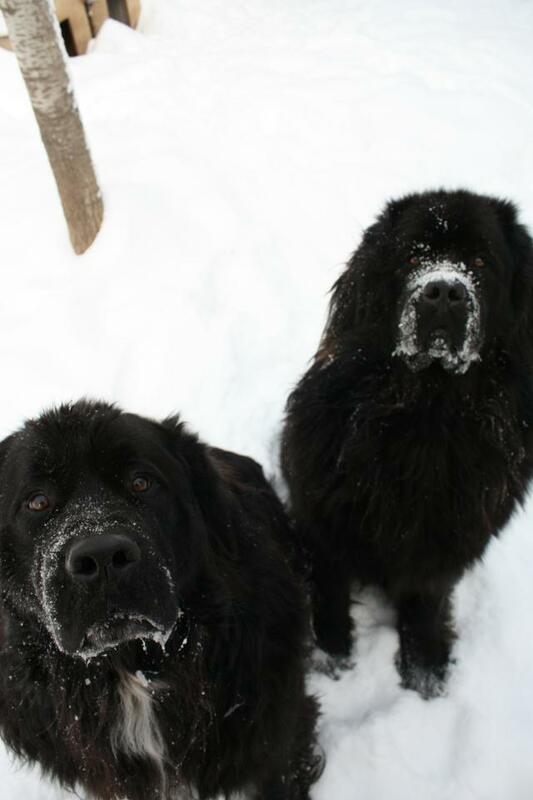 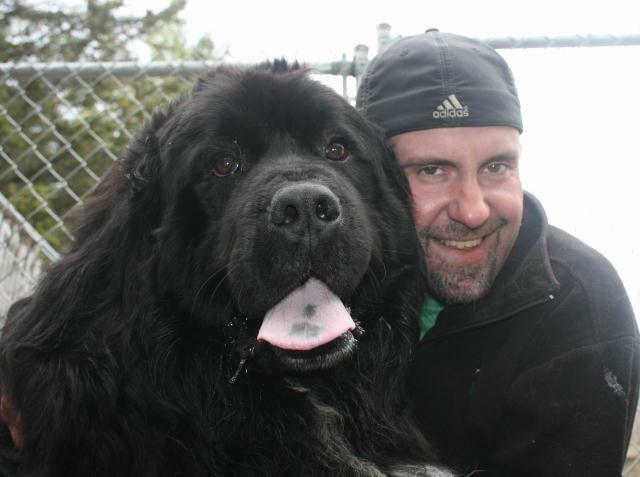 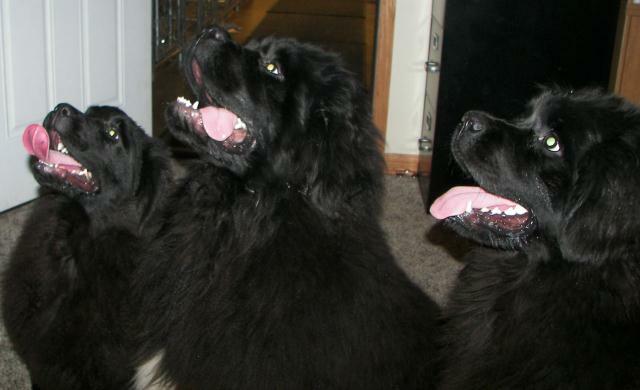 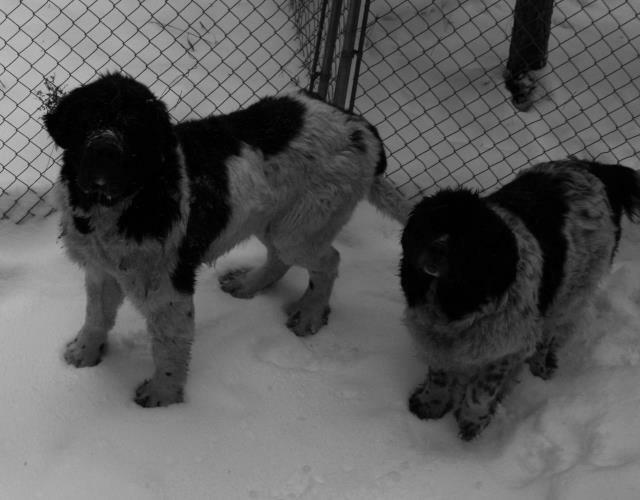 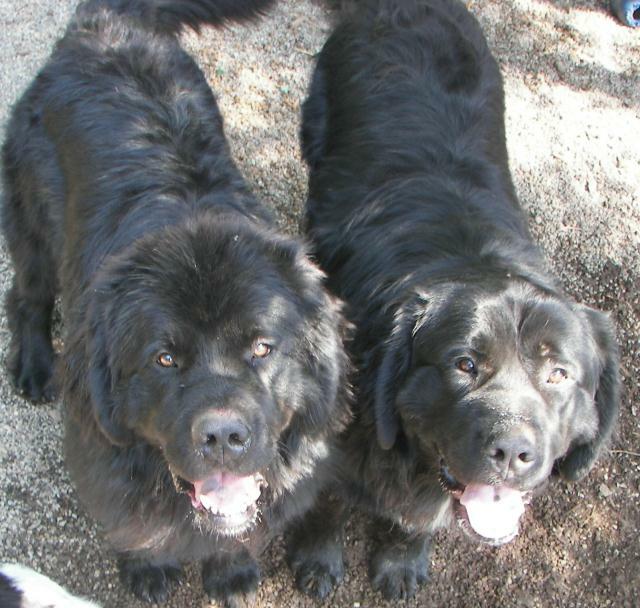 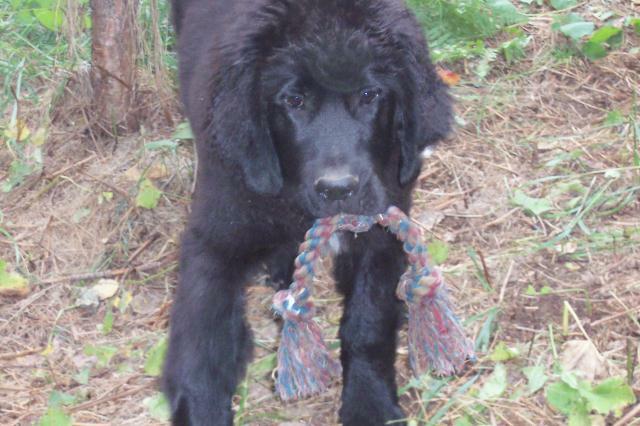 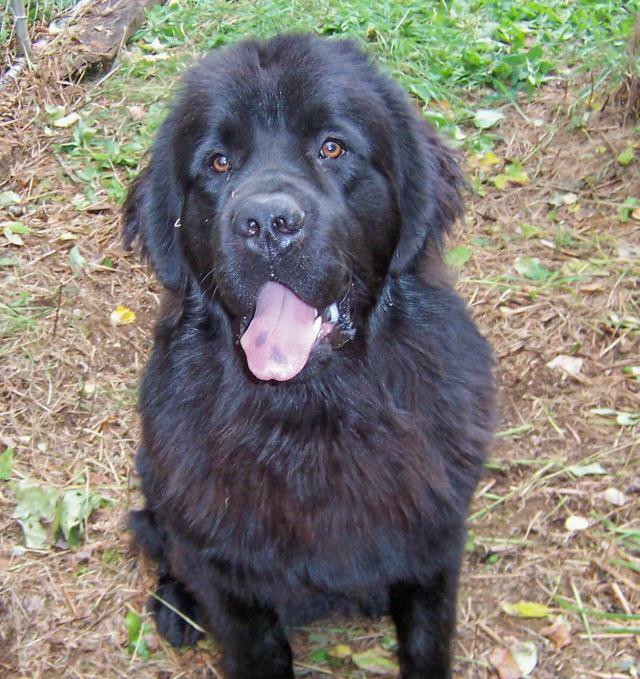 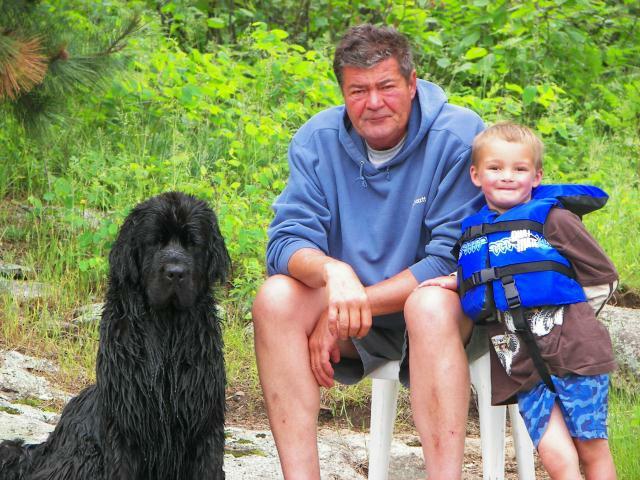 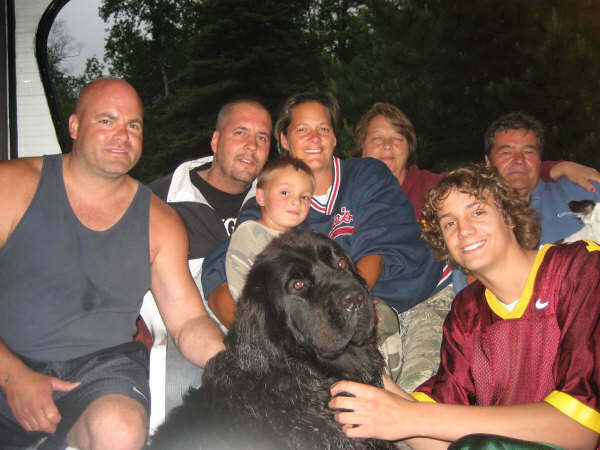 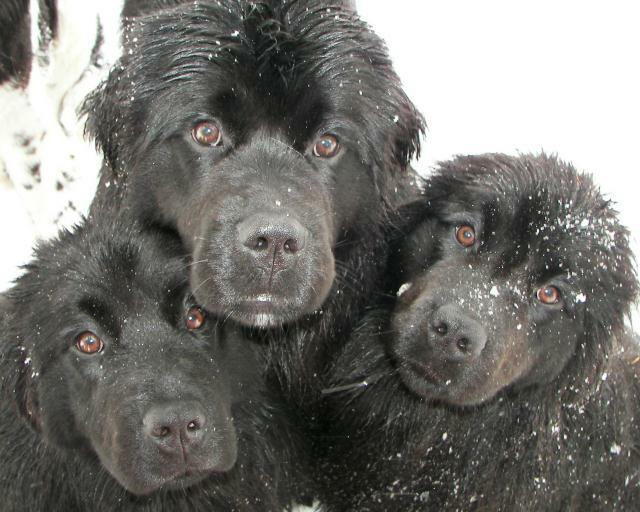 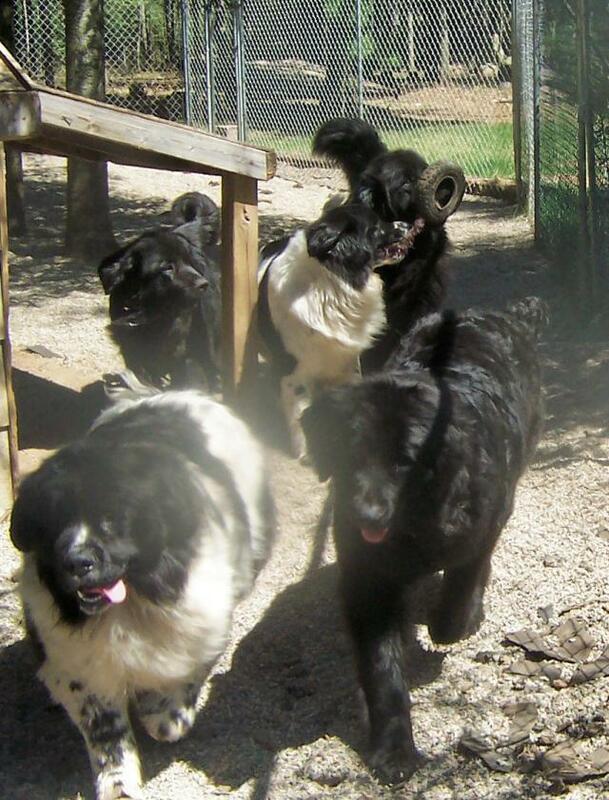 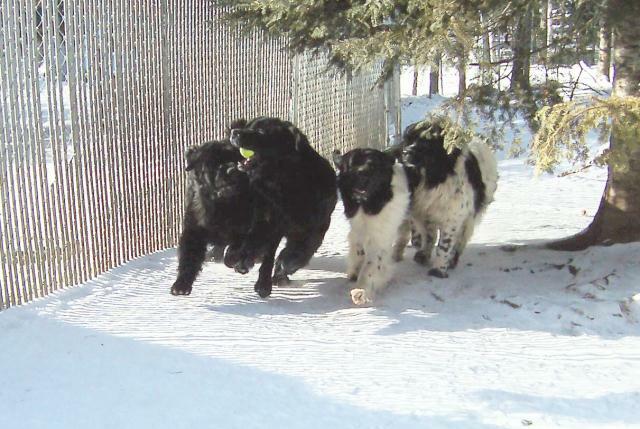 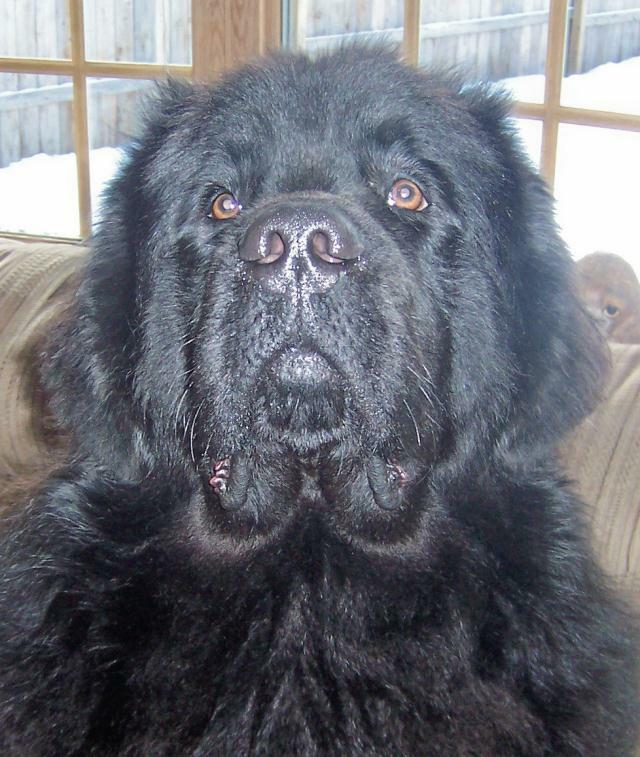 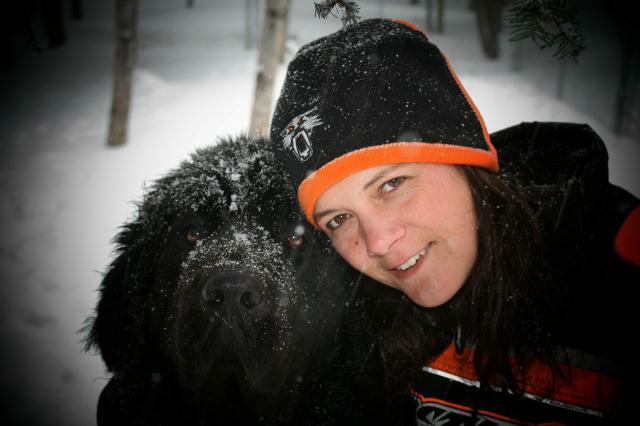 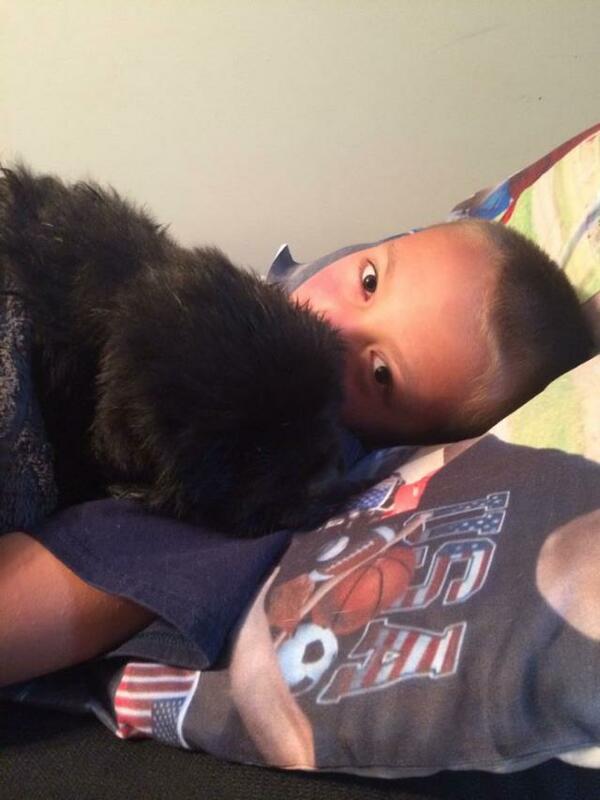 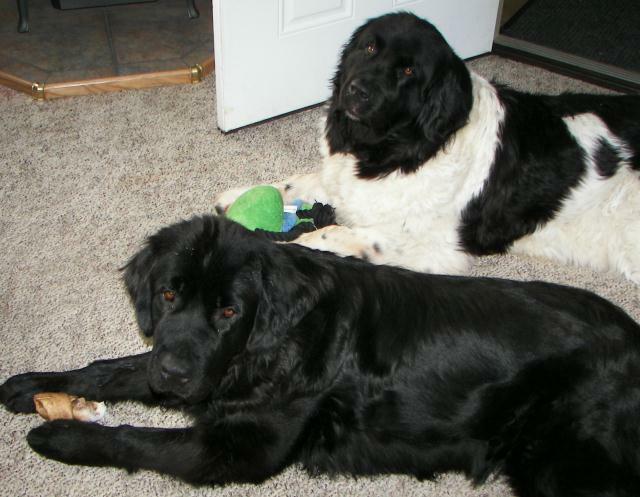 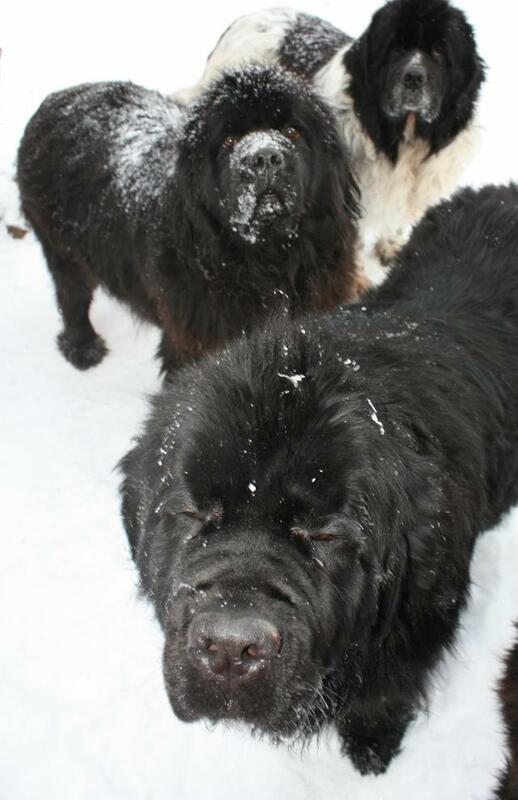 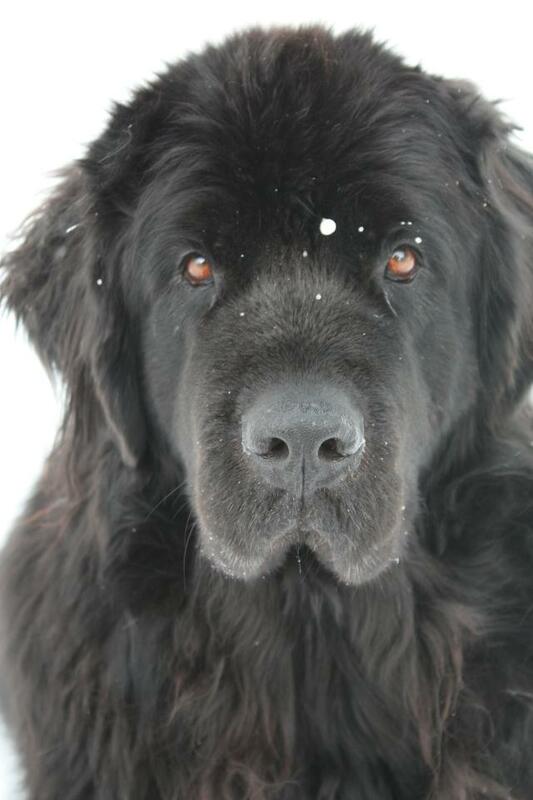 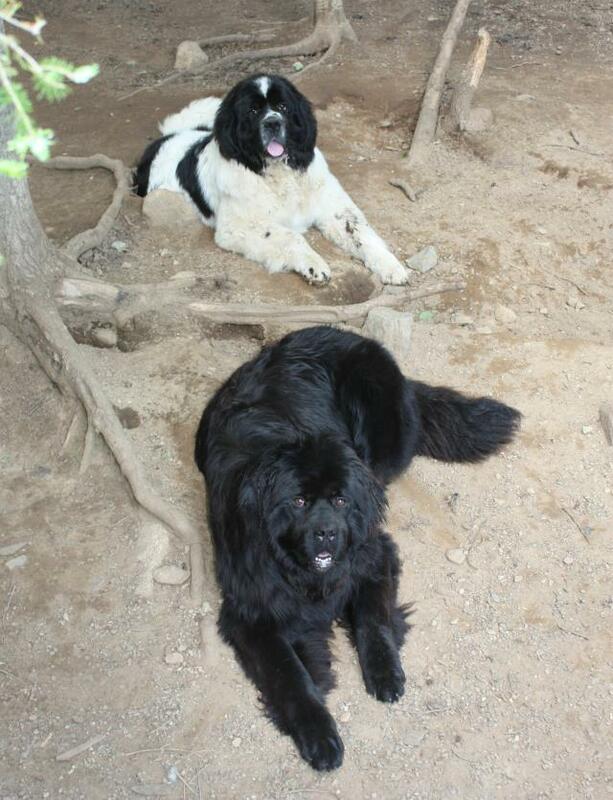 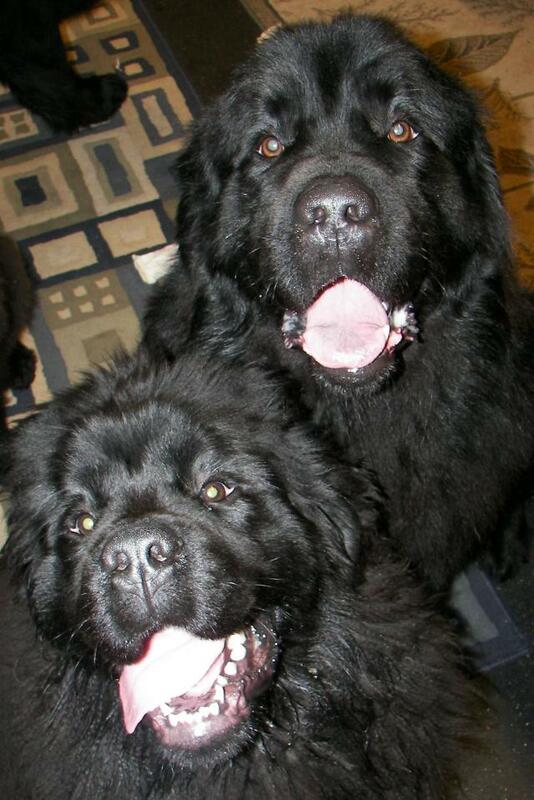 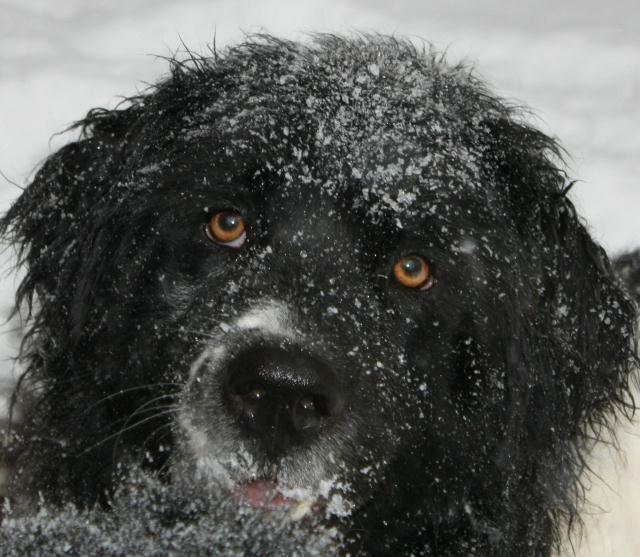 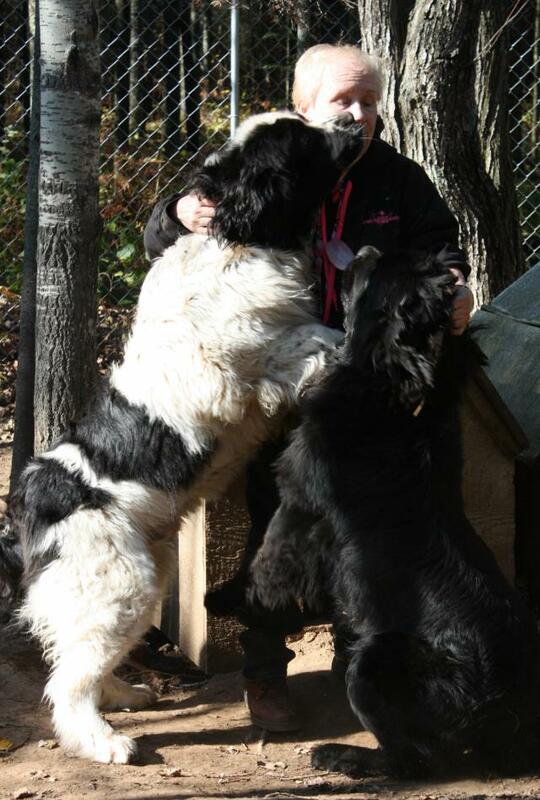 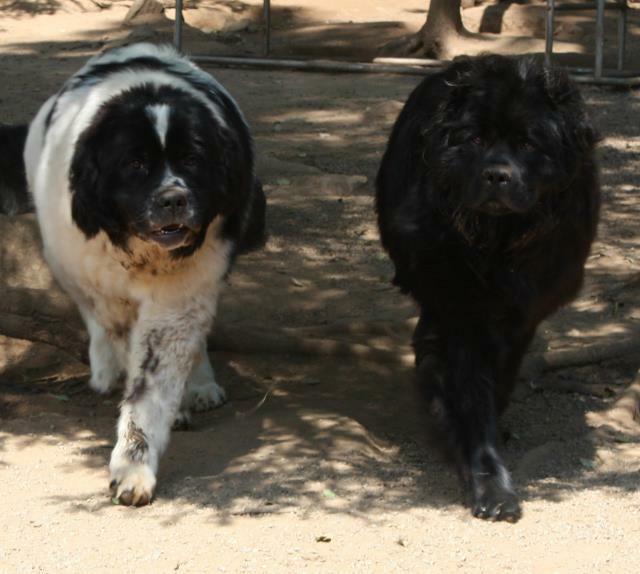 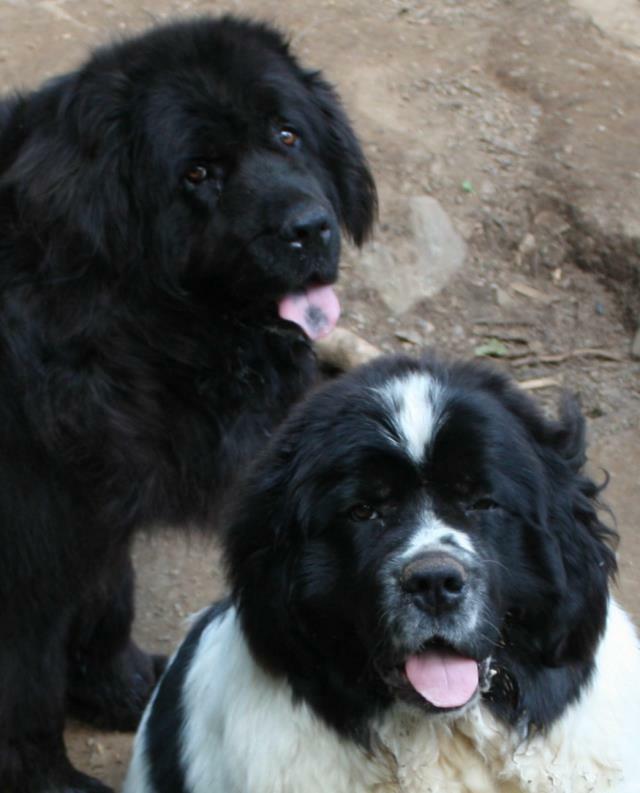 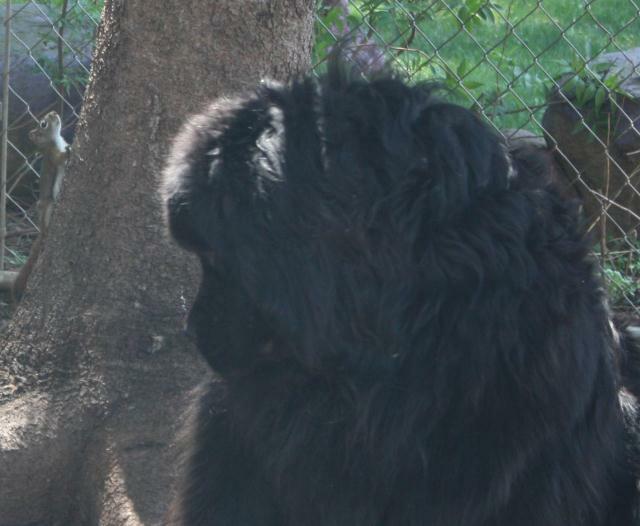 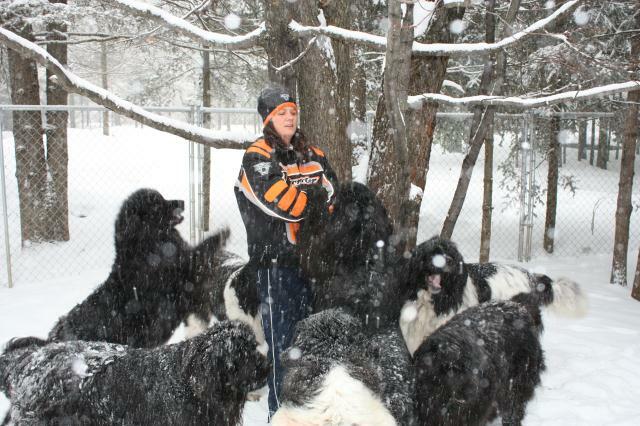 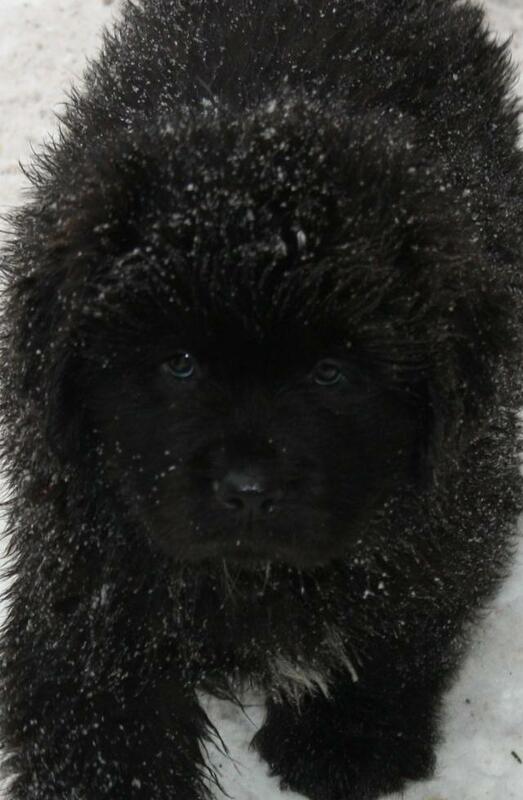 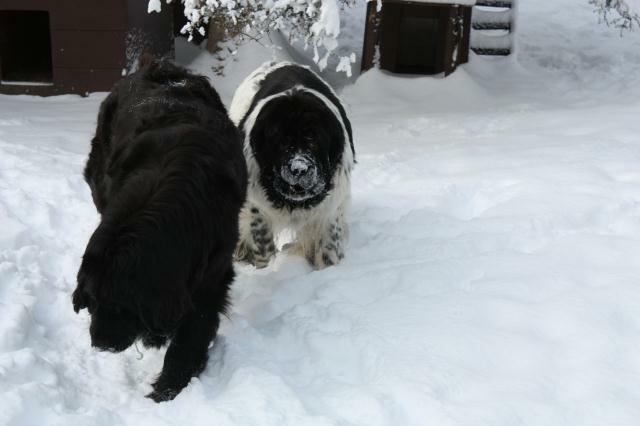 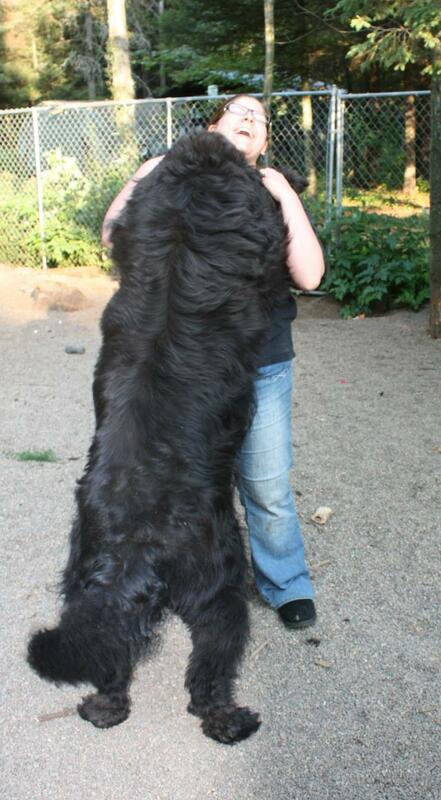 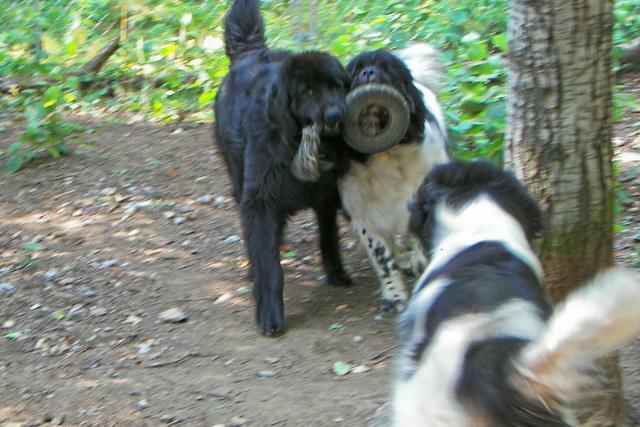 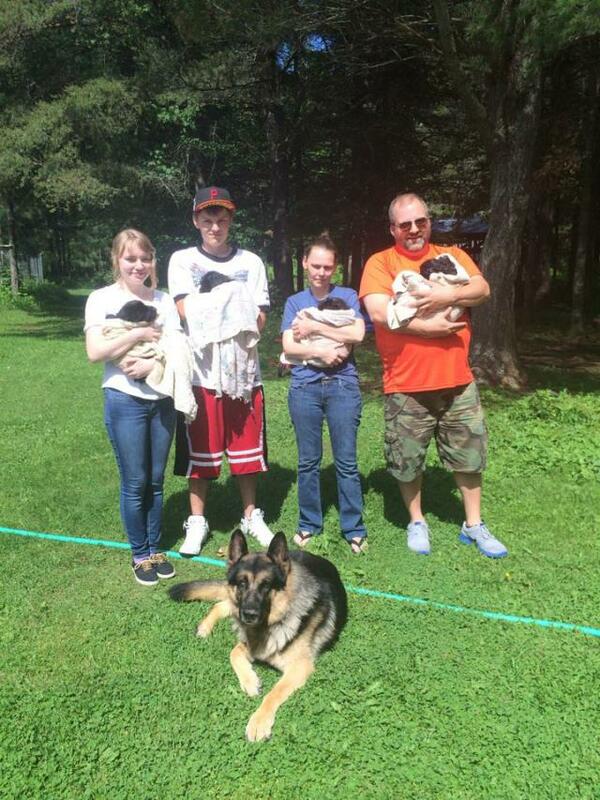 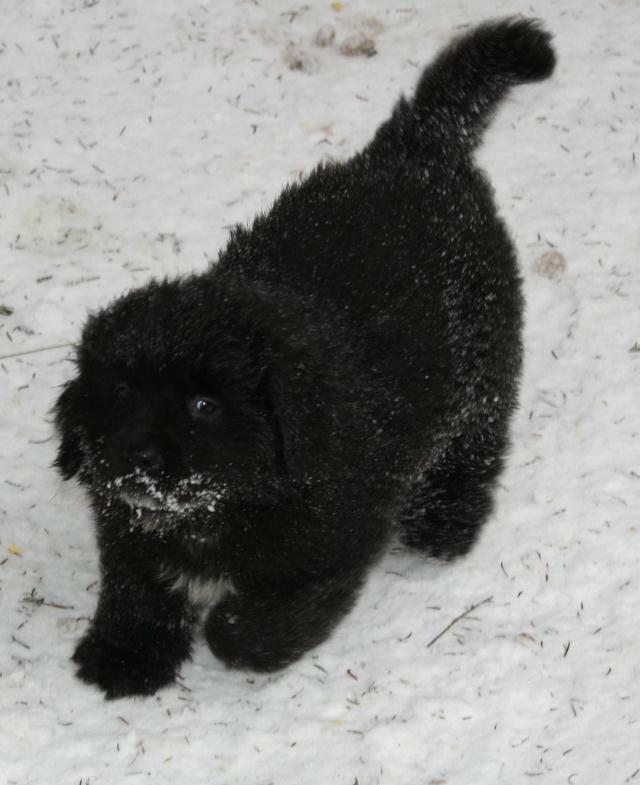 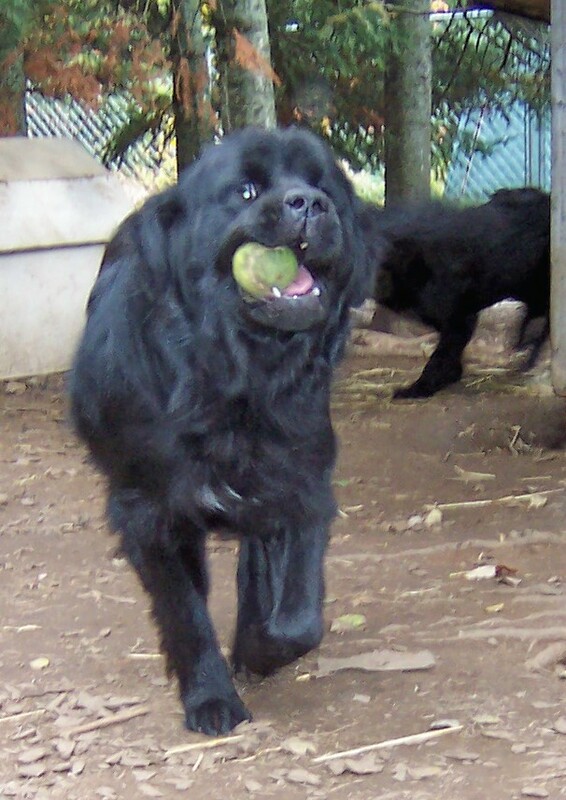 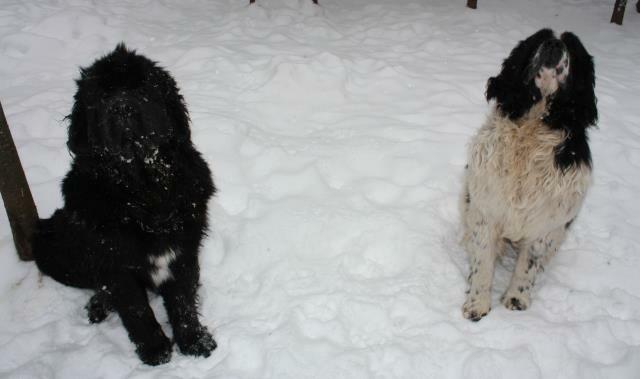 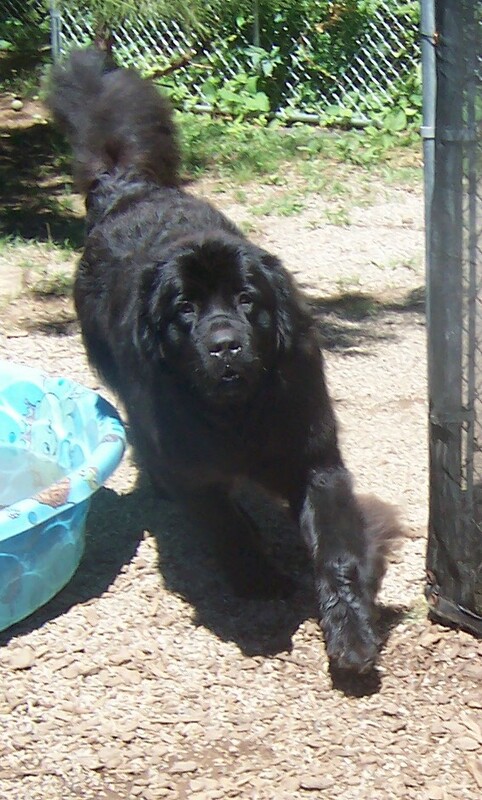 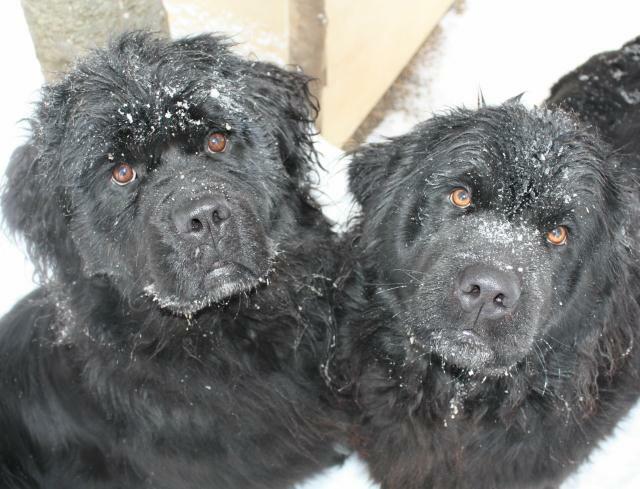 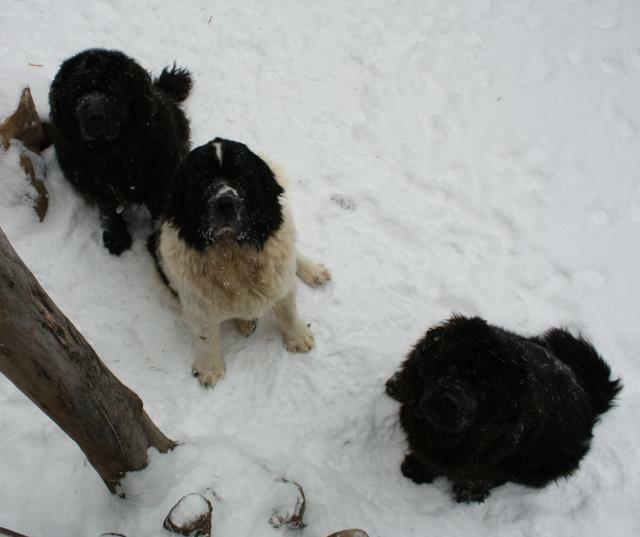 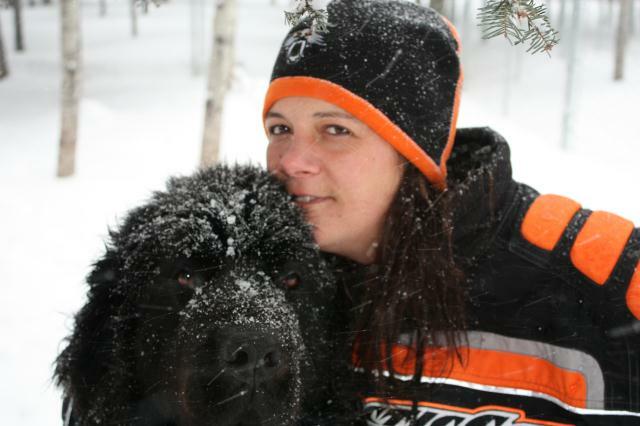 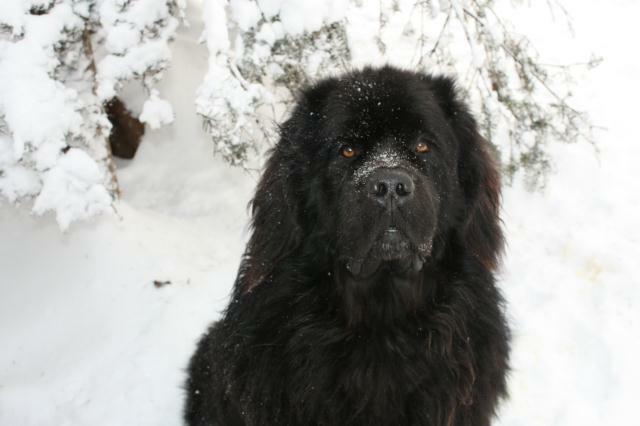 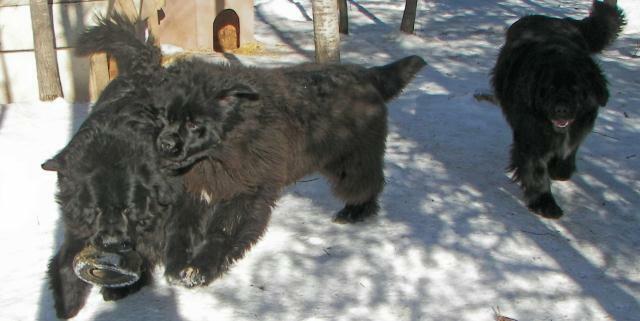 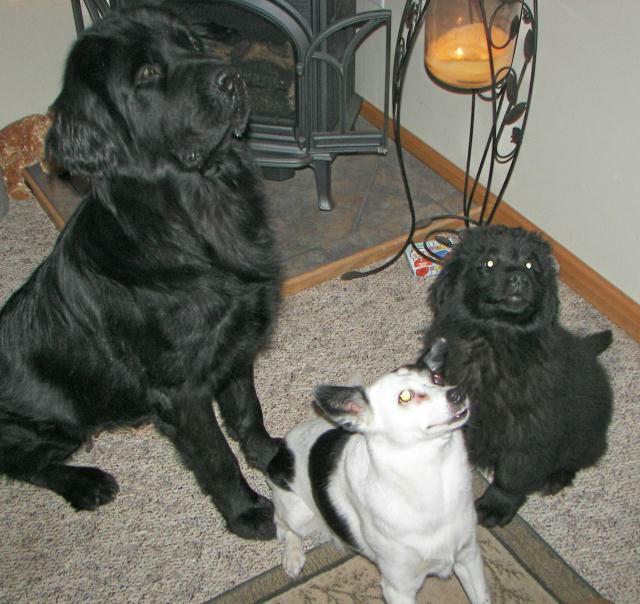 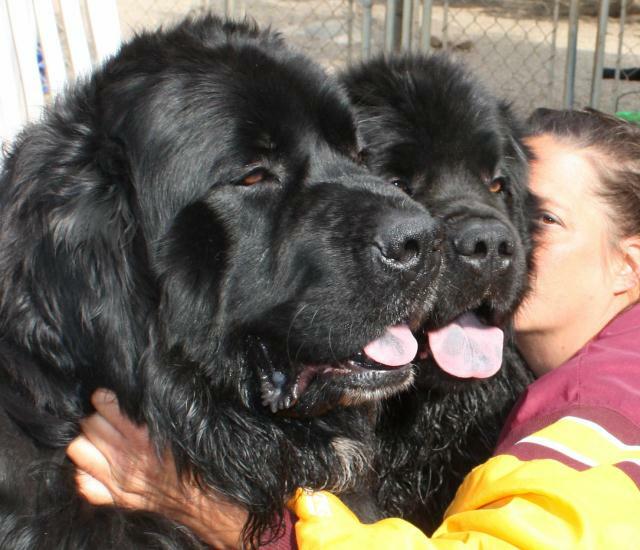 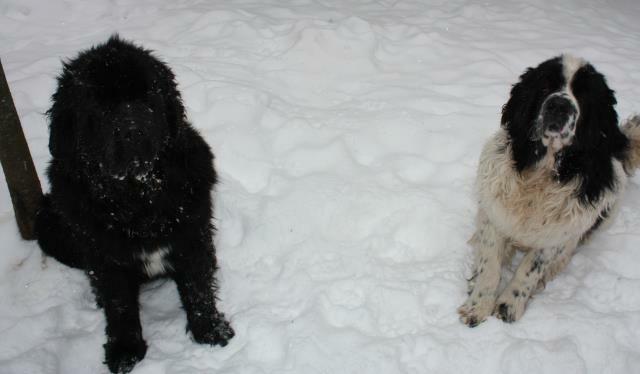 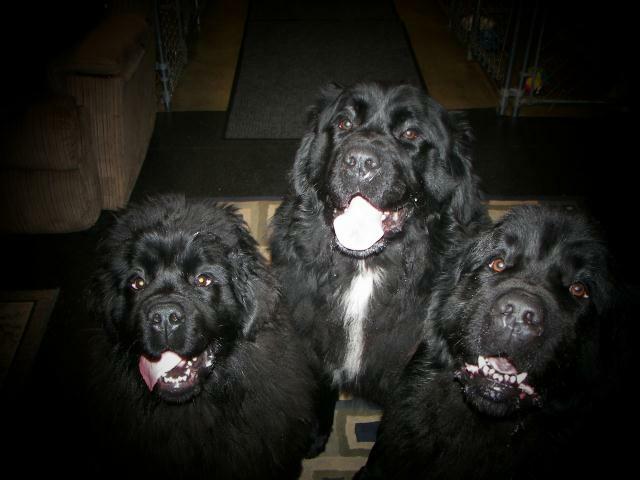 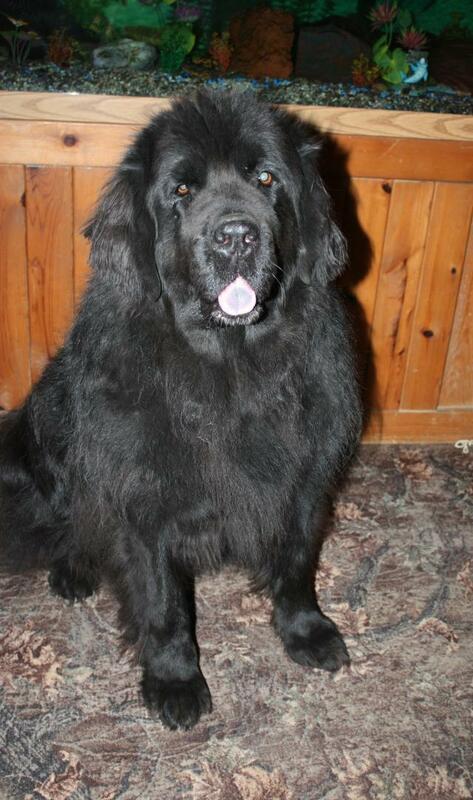 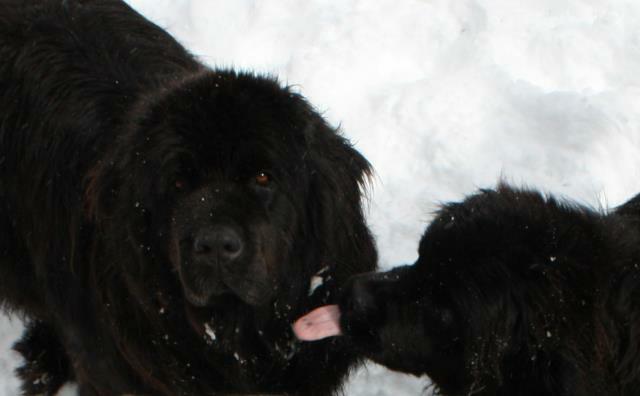 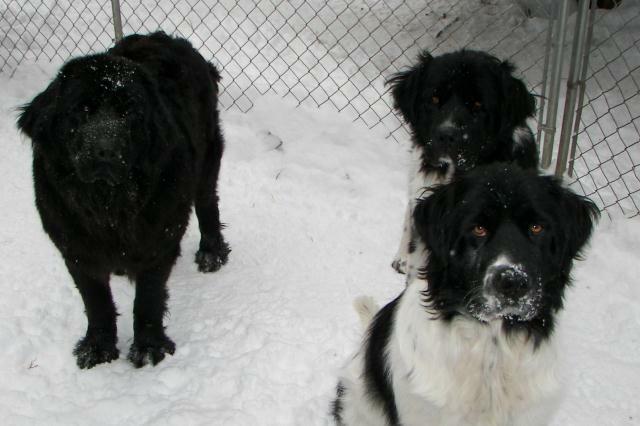 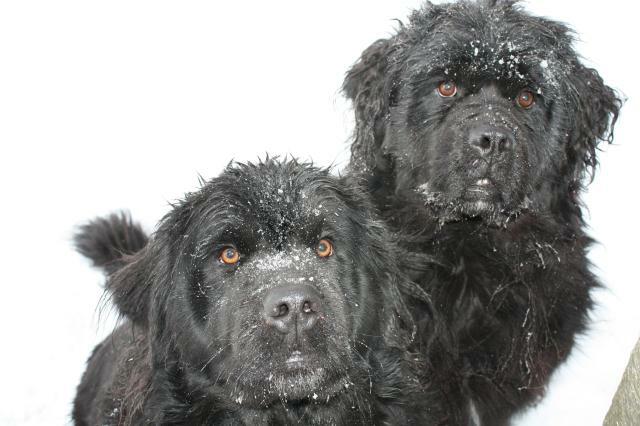 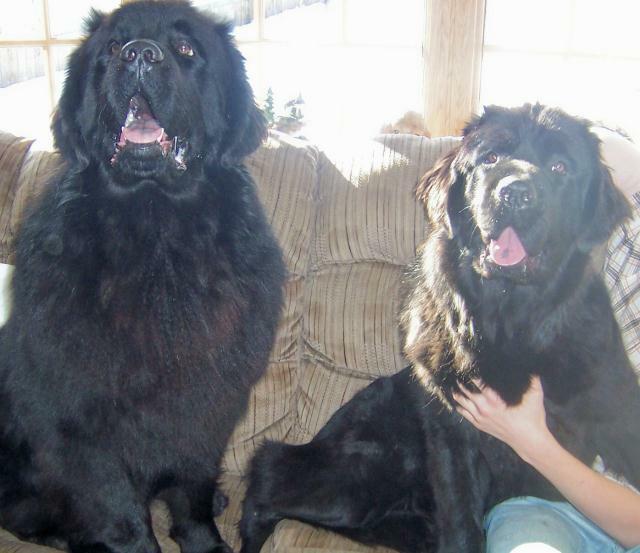 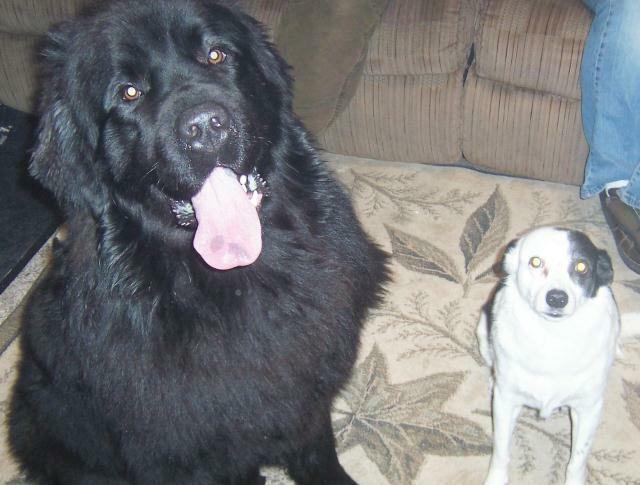 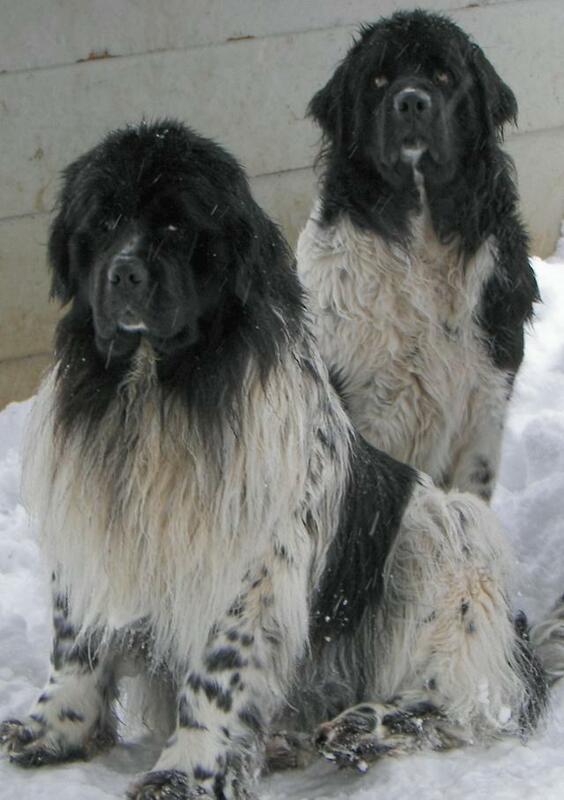 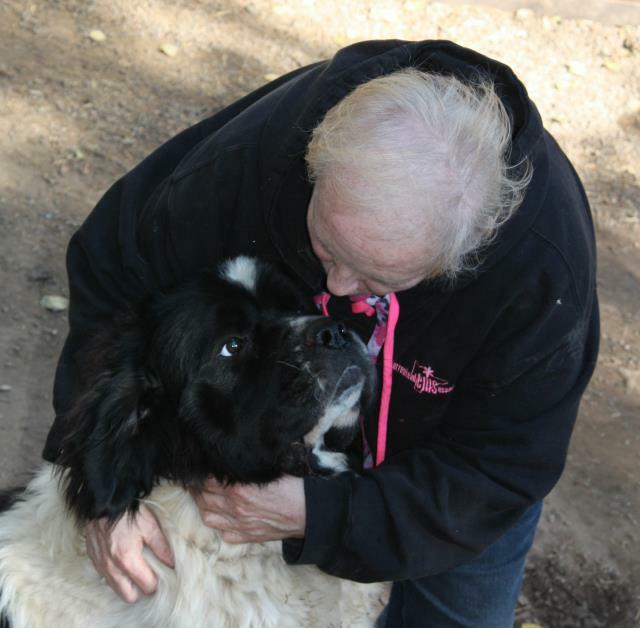 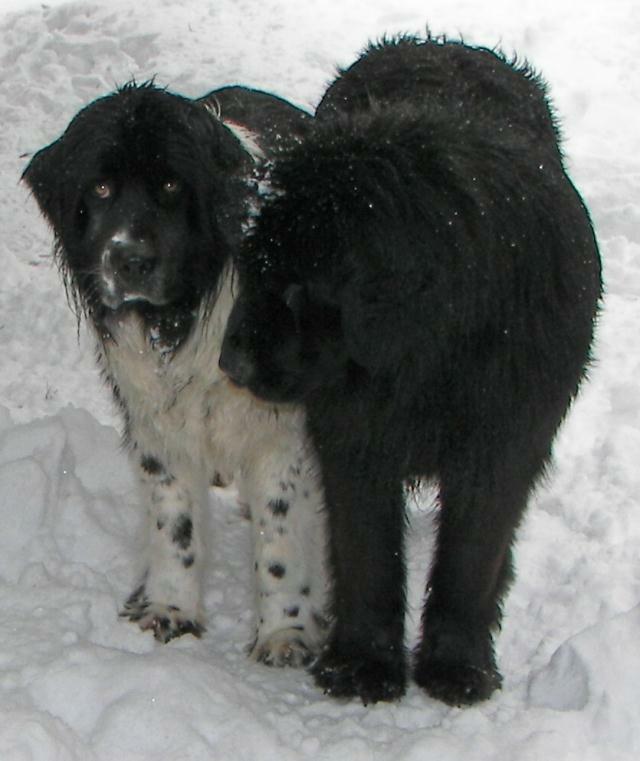 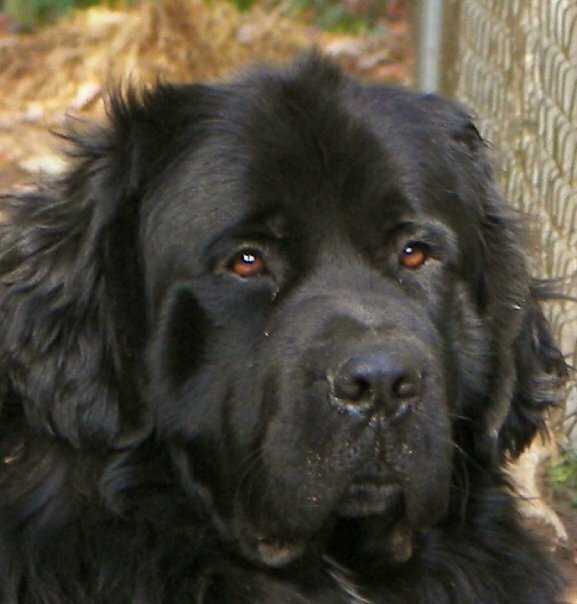 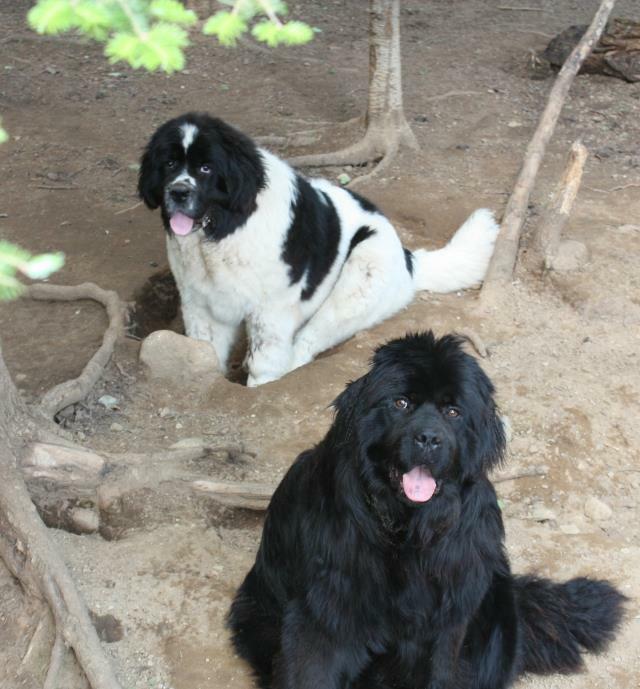 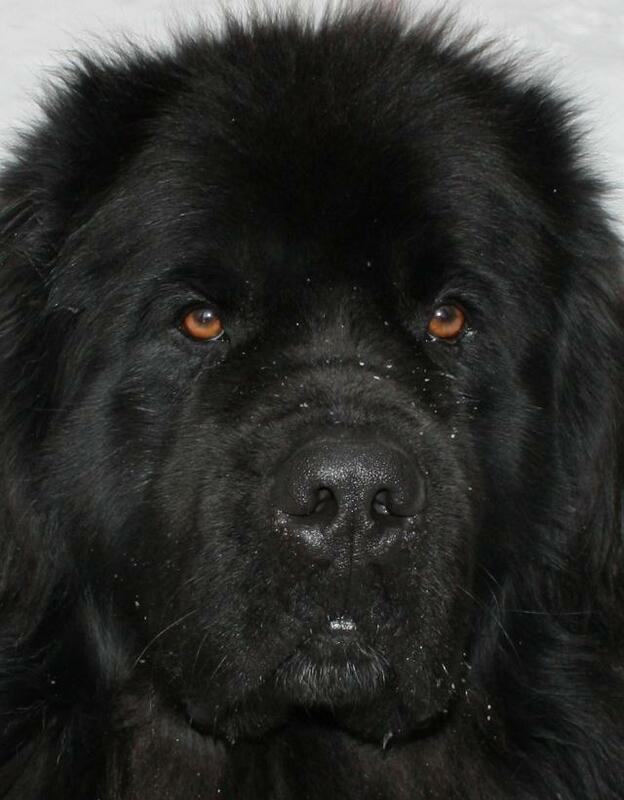 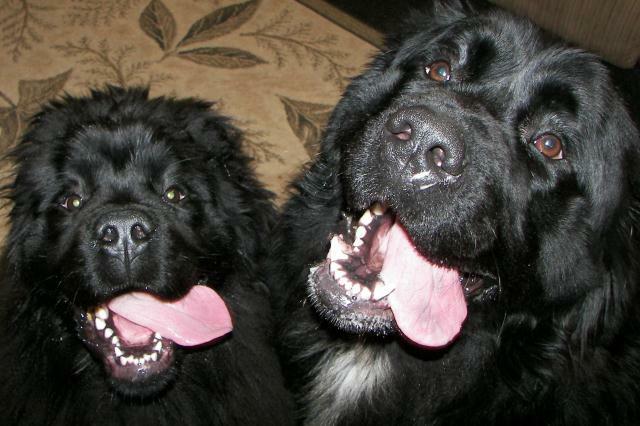 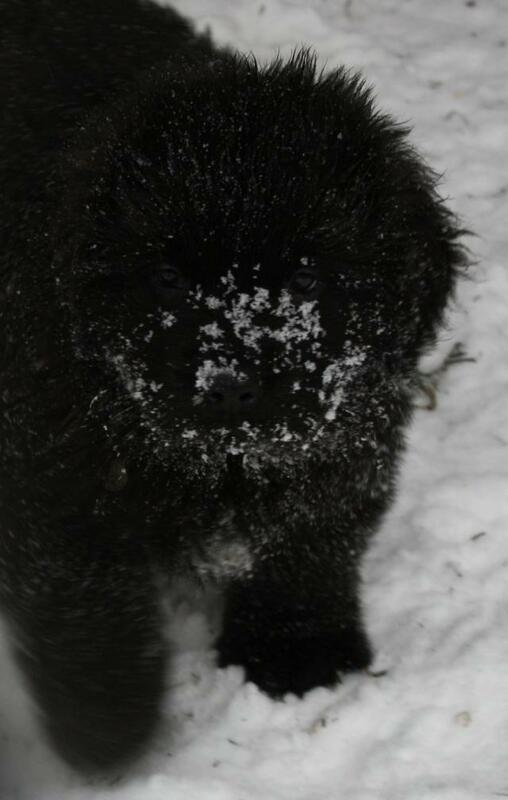 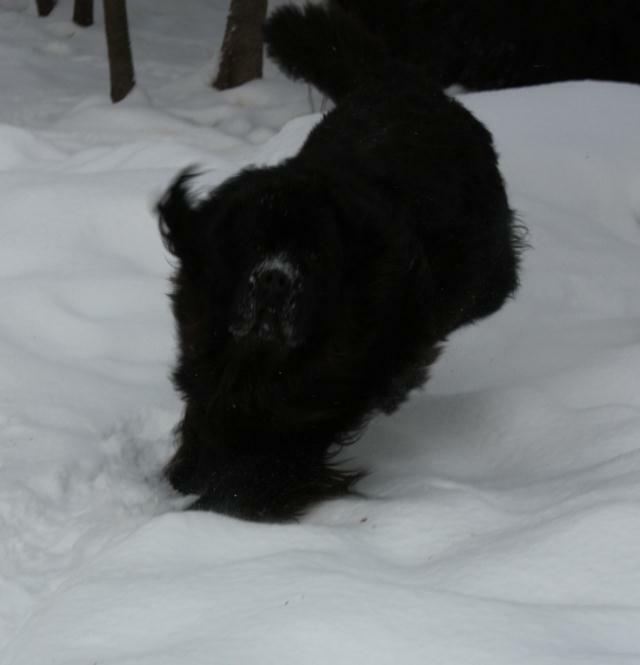 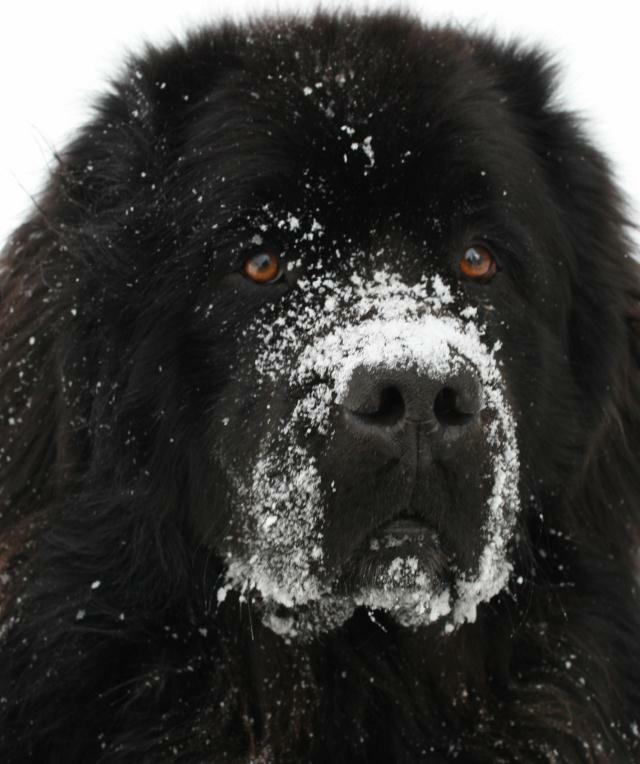 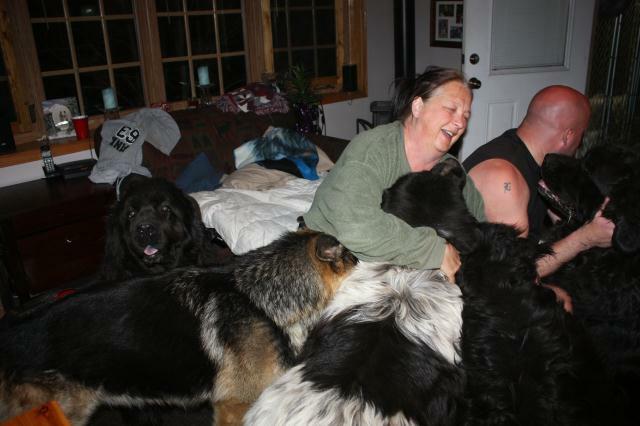 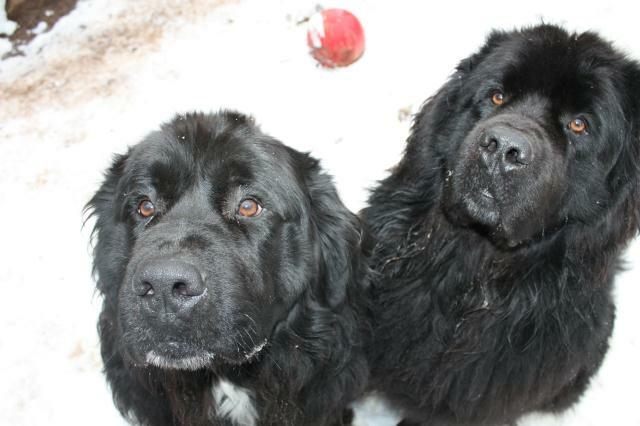 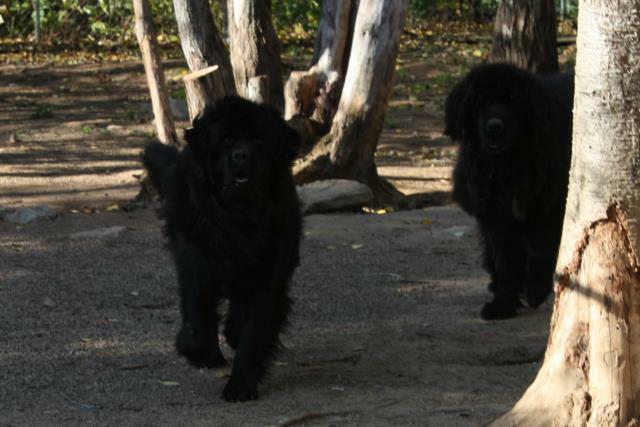 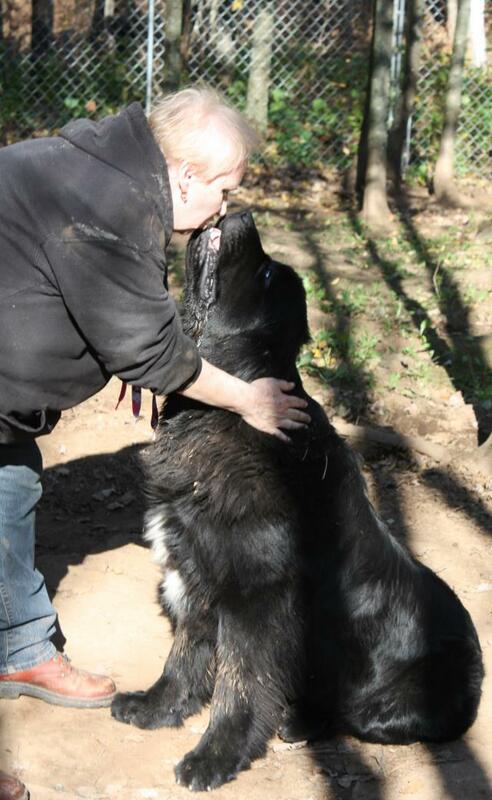 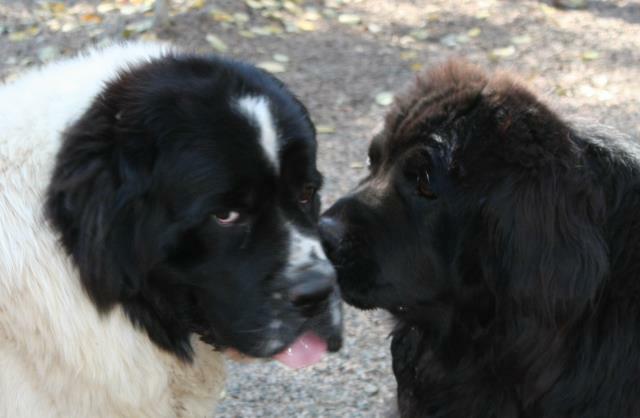 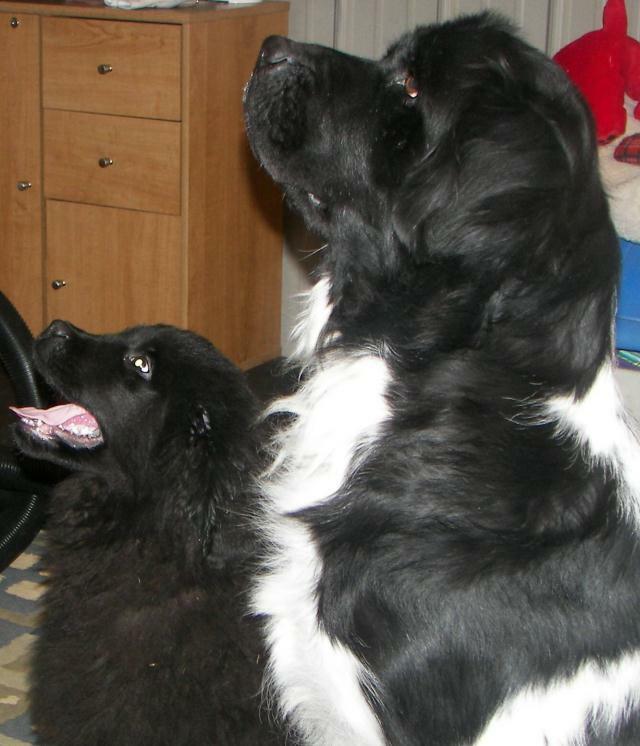 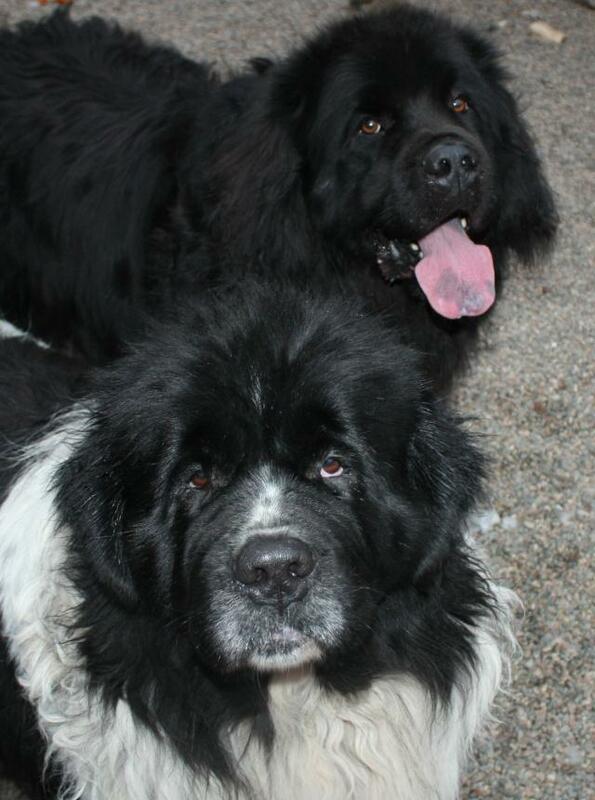 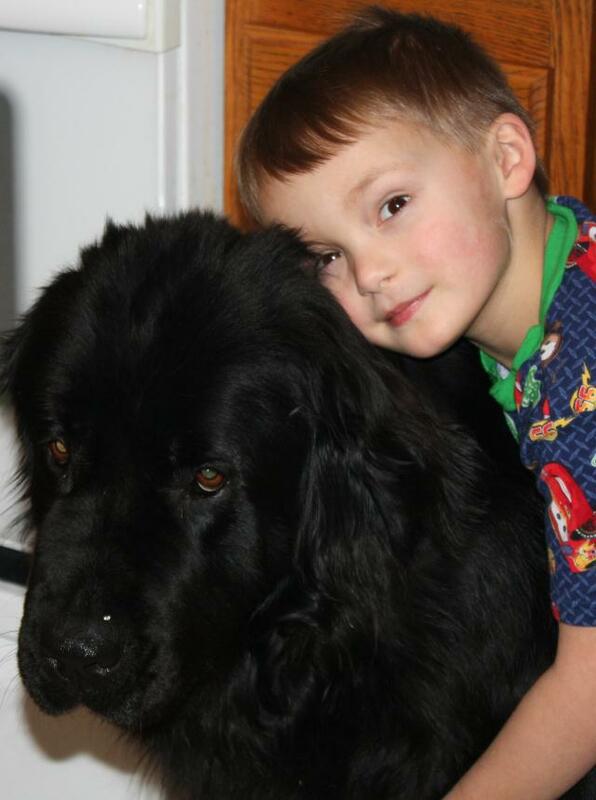 Newfies are all family raised with lots of love, individual attention, socialization and they are never kenneled! 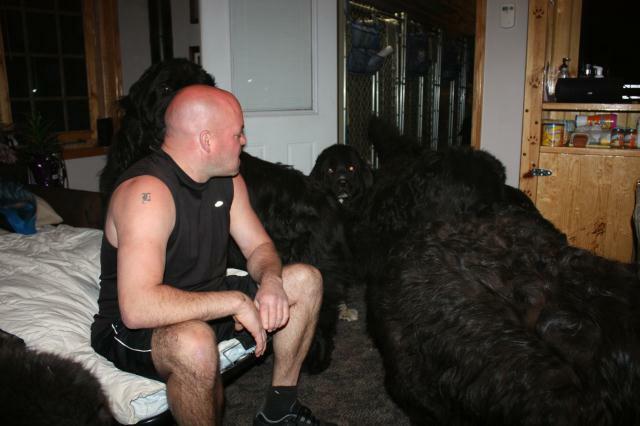 They live in a pack as canines should! 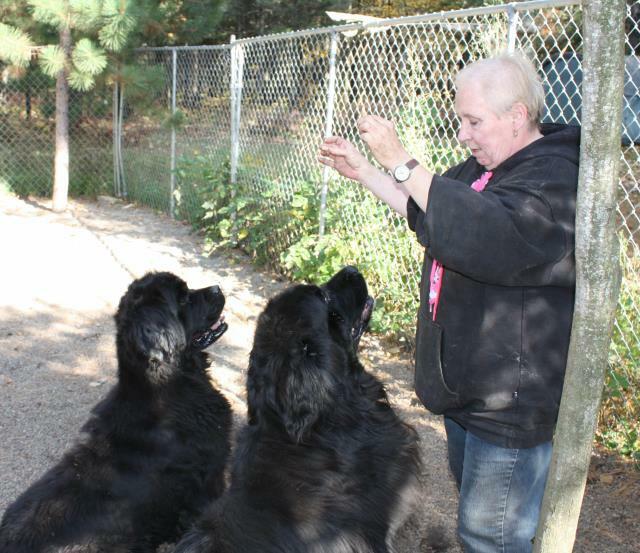 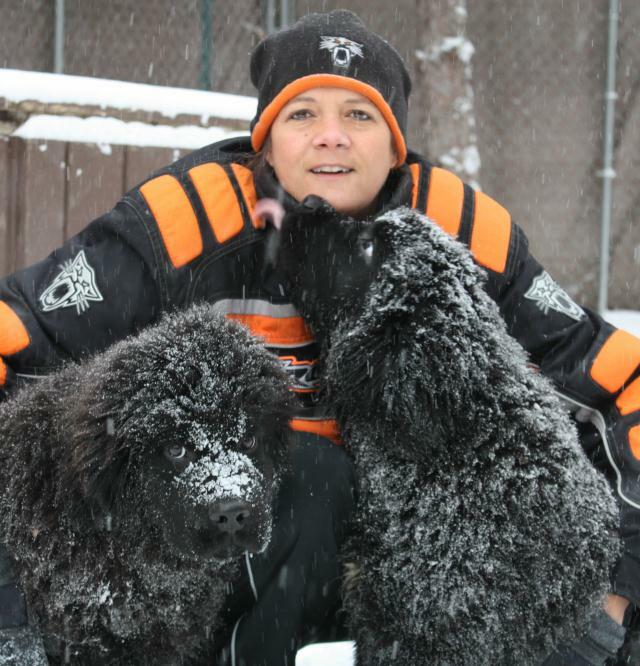 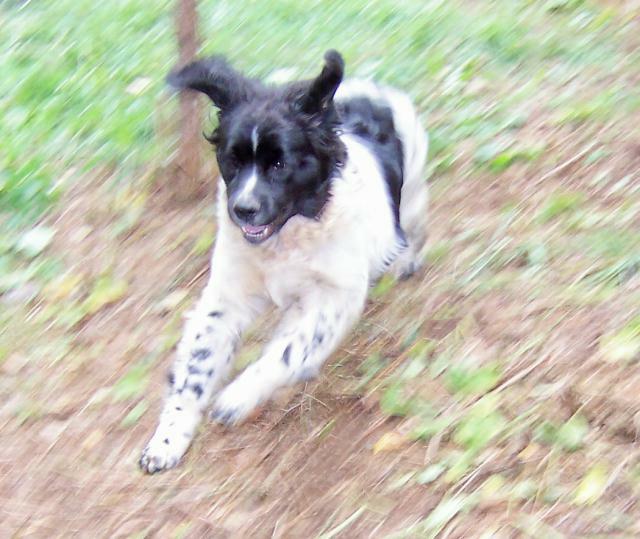 Lisa (breeder) is a small passionate breeder and will be a friend for life, helping you and your companion along the way. 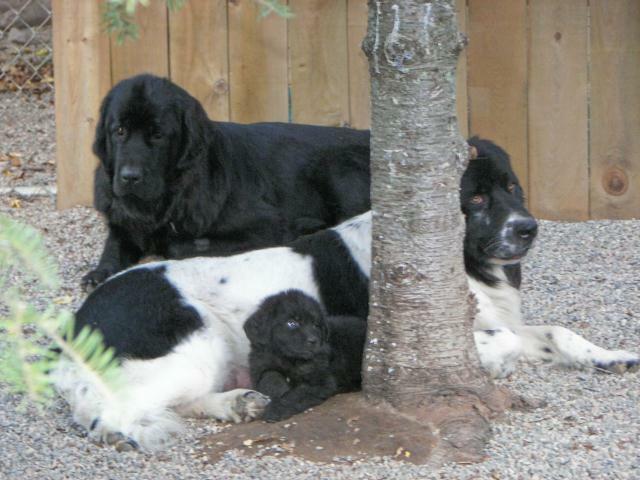 All of our puppies are started on the most nutritional canine meal available......."The Raw Diet". 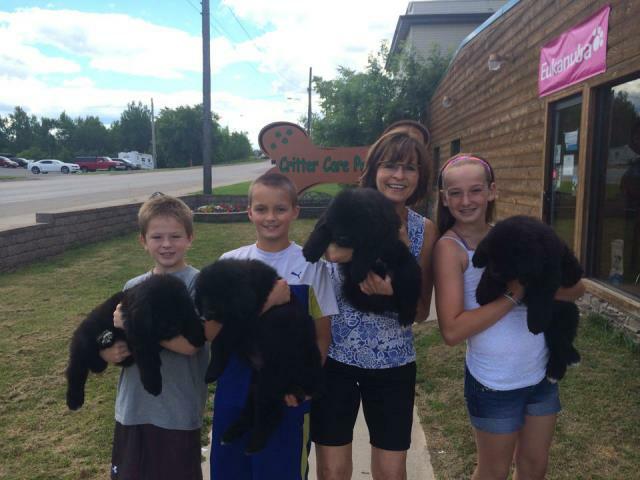 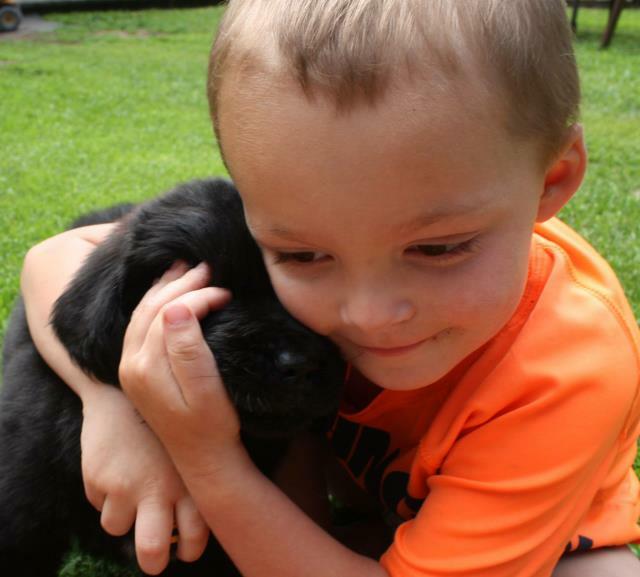 Included is AKC registration, Pedigree's, vaccinations & deworming, vet health check and a puppy care package. 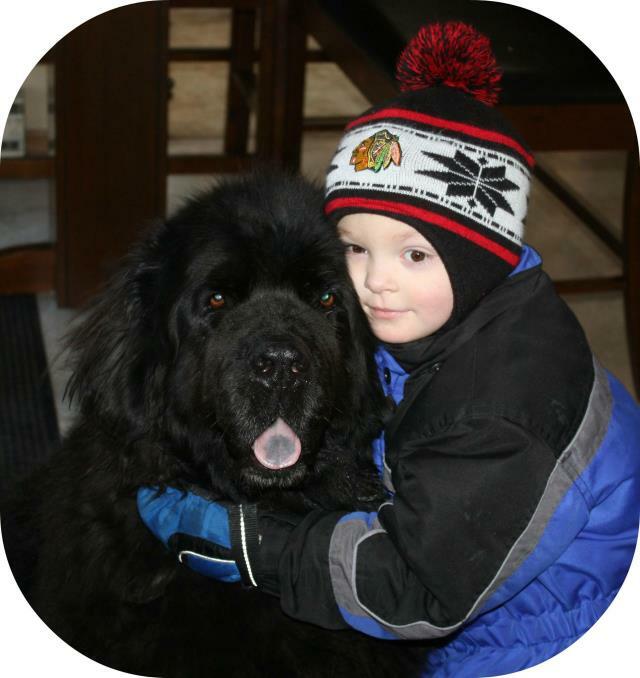 If there are any questions please feel free to contact us! 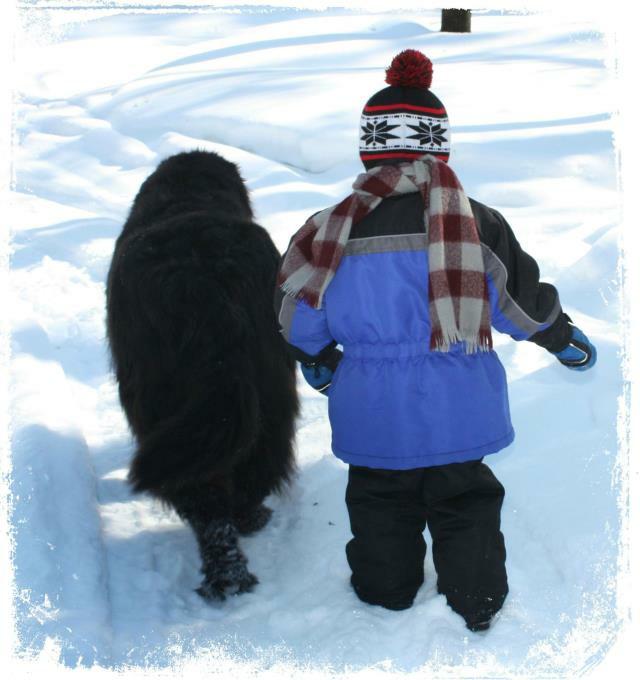 Treat me kindly, my beloved master, for no heart in all the world is more greatful for kindness than the loving heart in me. 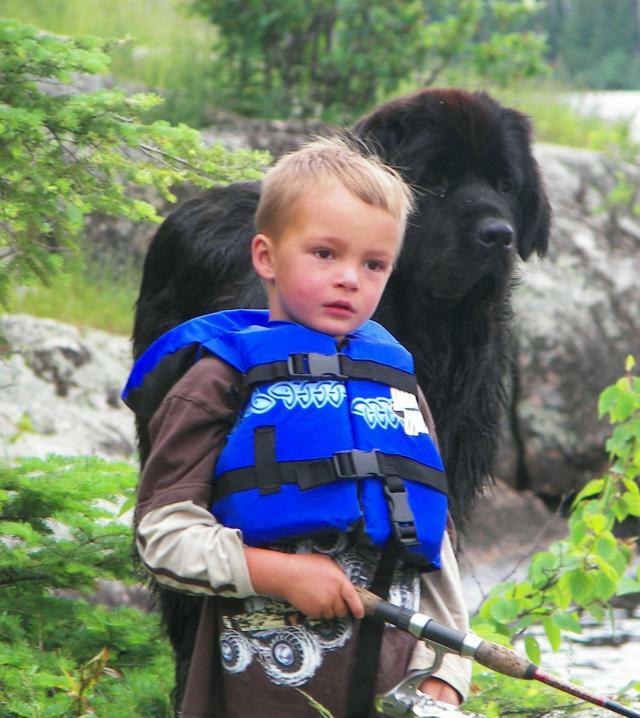 Do not break my spirit with a stick, for your patience and understanding will more quickly teach me the things you would have me do. 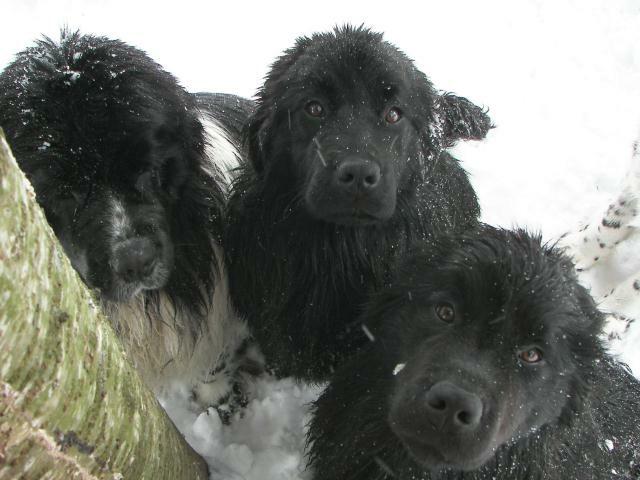 When it is cold and wet, please take me inside for I am domesticated, no longer used to the bitter elements. 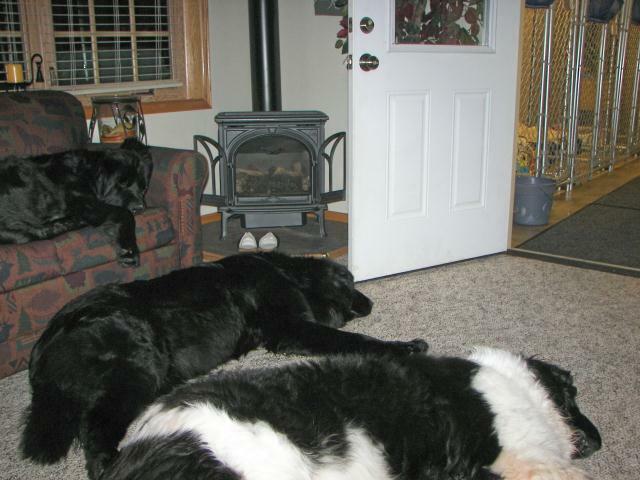 I ask no greater glory than the privilege of sitting at your feet beside the hearth. 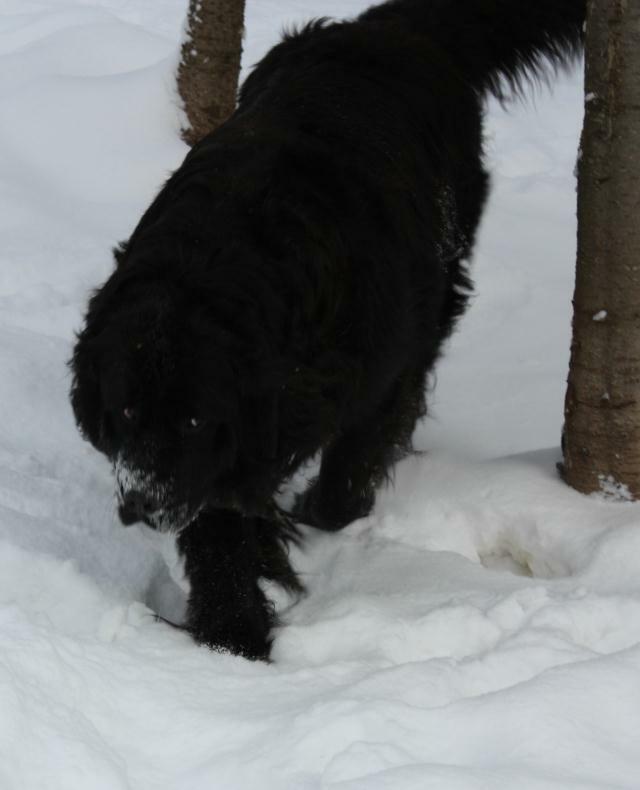 And though you had no home, I would rather travel at your side through ice and snow than rest upon the softest pillow and the coziest home in all the land, for you are my master and I am your loyal and devoted friend. 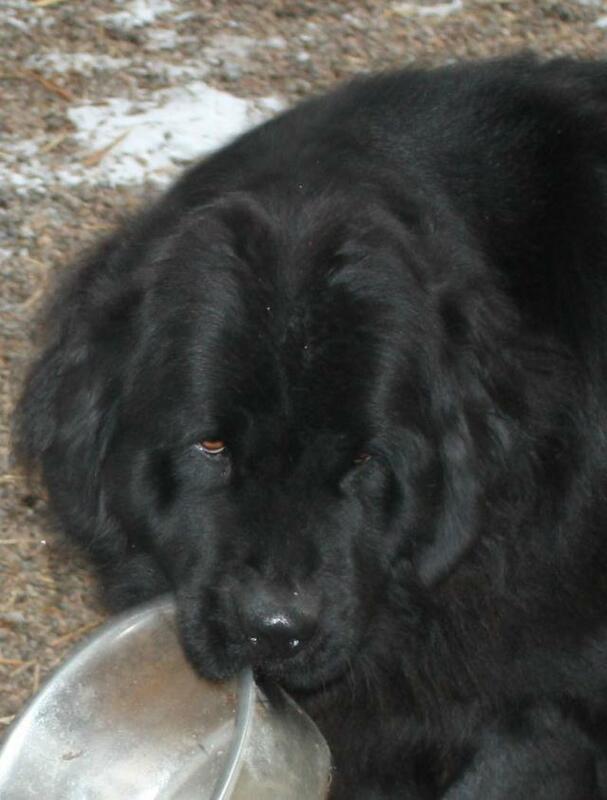 Keep my pan filled with fresh water, for I cannot tell you when I suffer thirst. 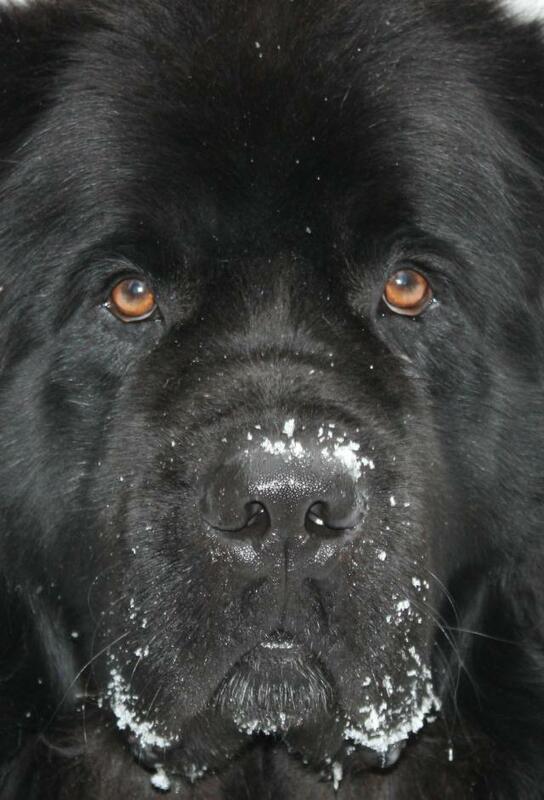 Feed me clean food, that I may stay well, to romp and play and do your bidding; to walk by your side, and stand ready, willing and able to protect you with my life, should your life be in danger.